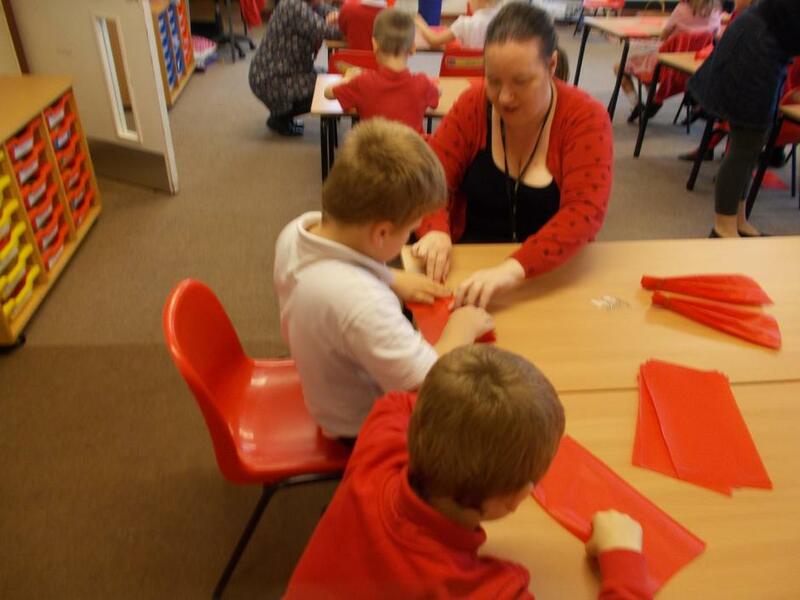 In Year 2 our teachers are Mrs Clark, Mrs McDowell and Ms Manoucheri. 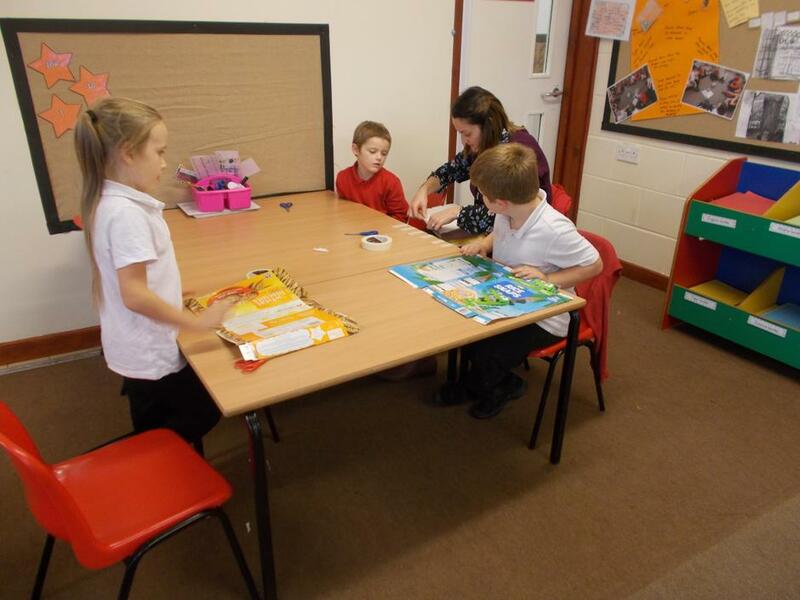 We are lucky to have Mrs Walker and Ms Abbiss supporting our learning everyday. 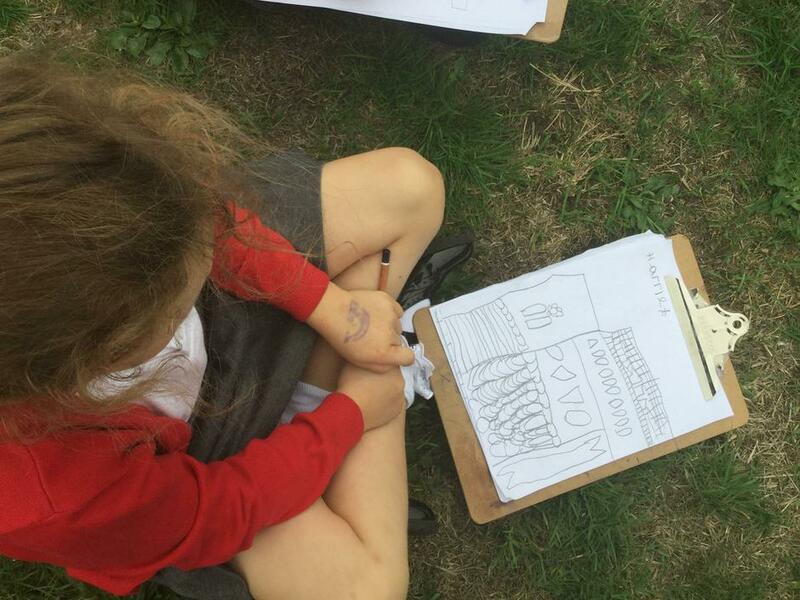 This page will keep you up-to-date with all the exciting things we get up to in our year, so please keep visiting it regularly! 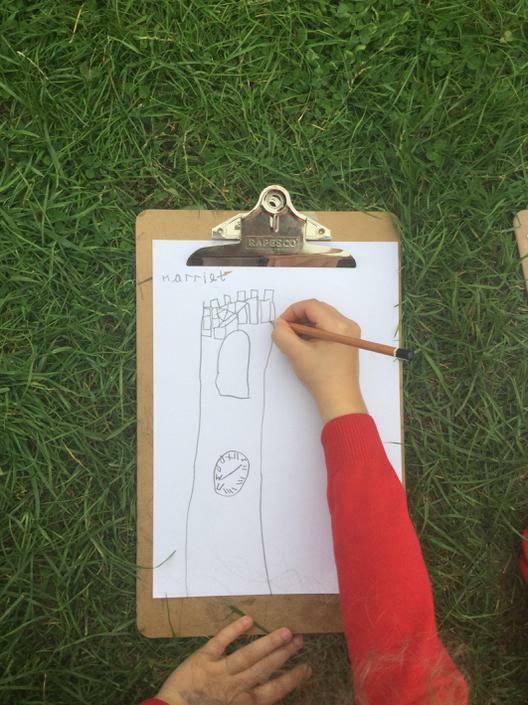 In English we will be using the book 'Zeraffa Giraffa' by Dianne Hofmeyr as inspiration for our writing. 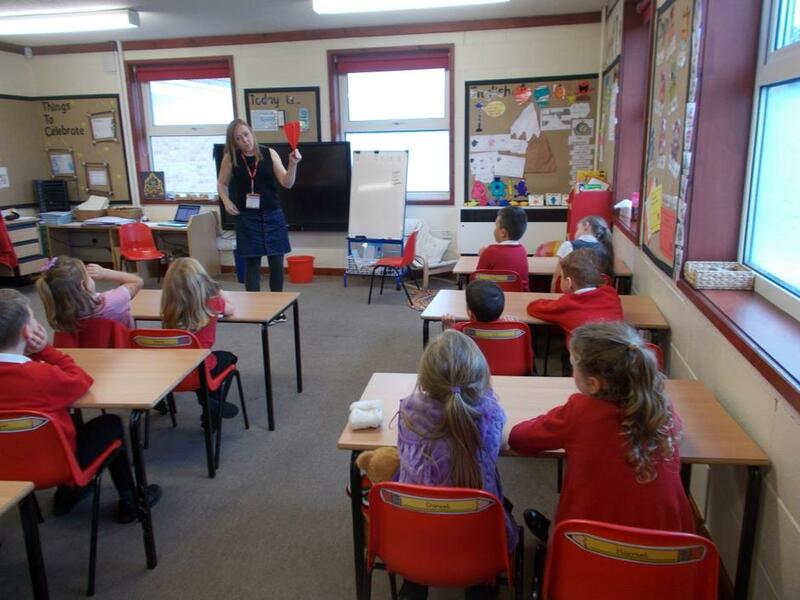 Our church school value for this term is thankfulness. 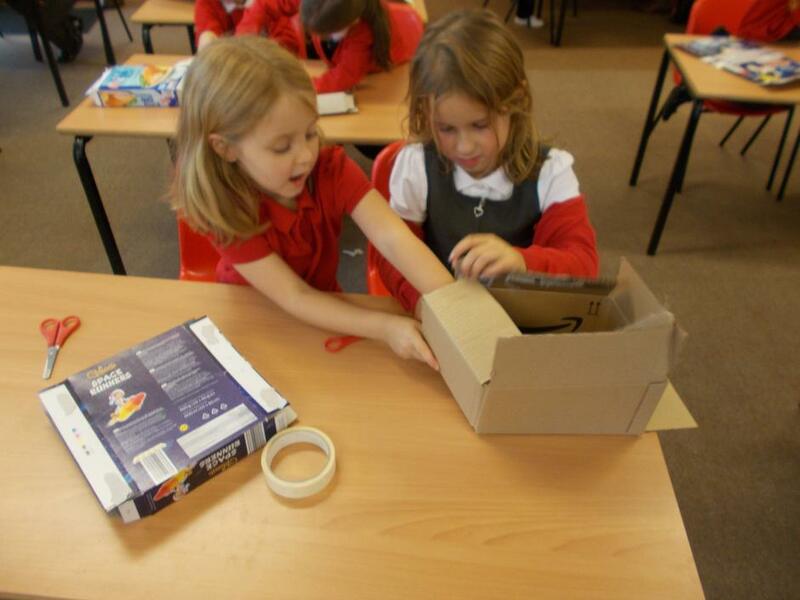 Here is our newsletter for term four with information regarding our learning for this term. 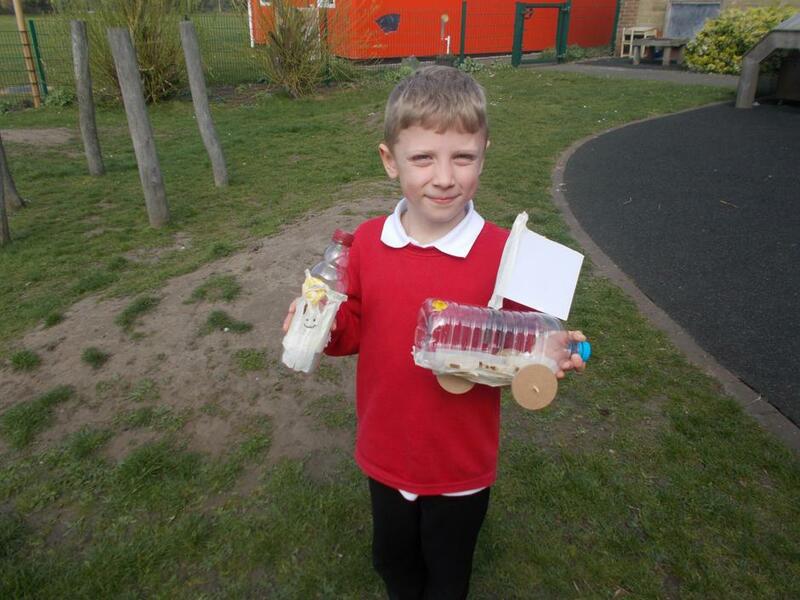 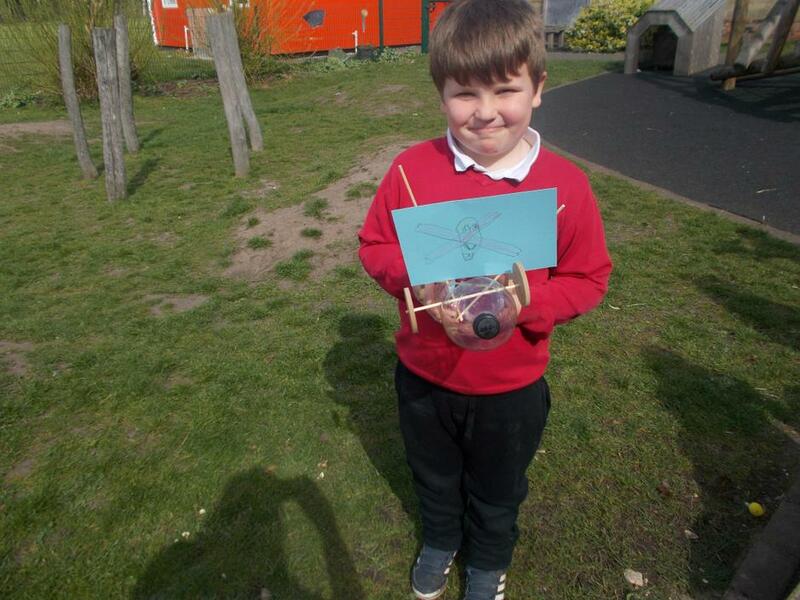 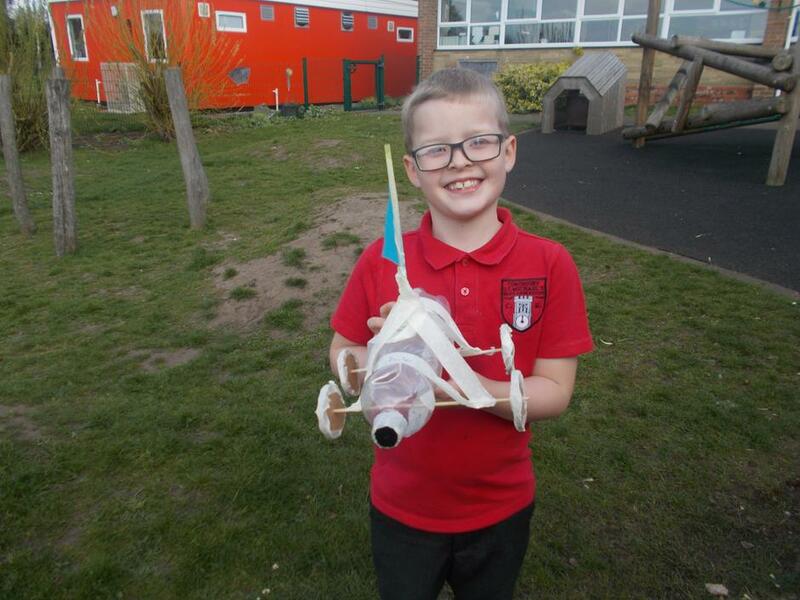 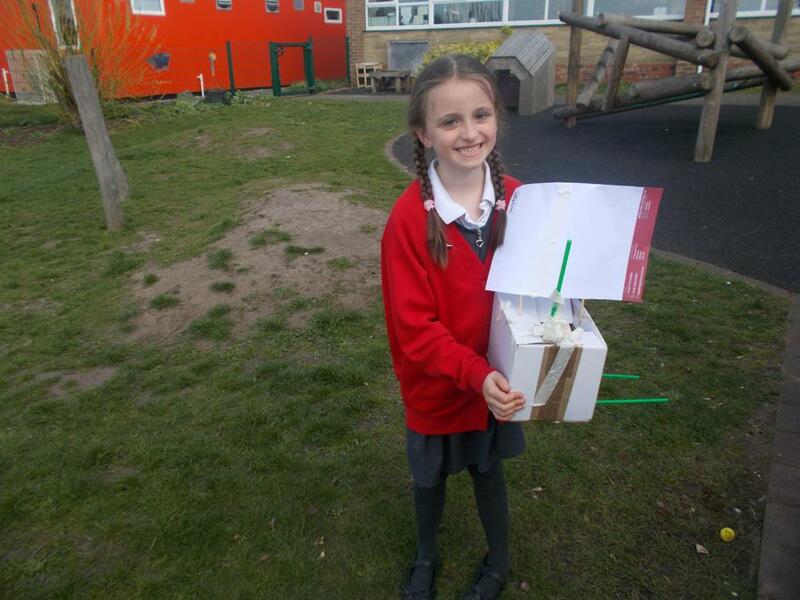 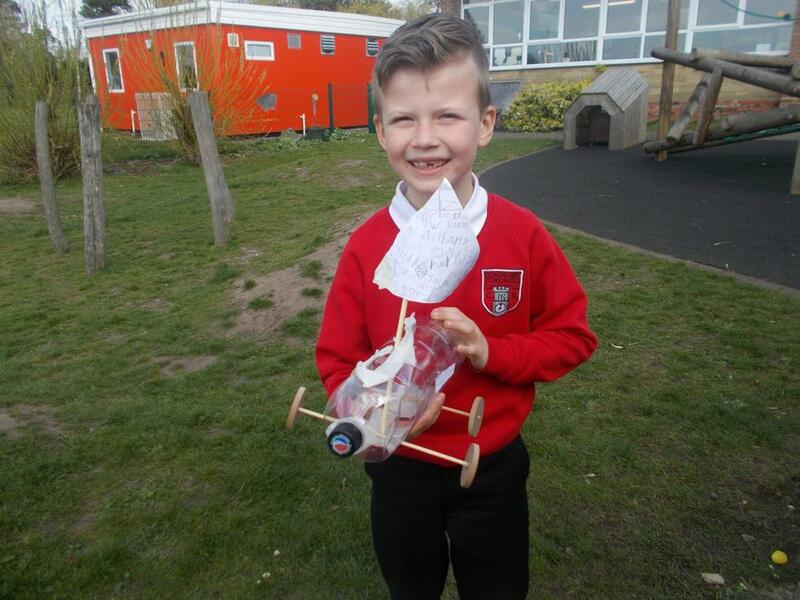 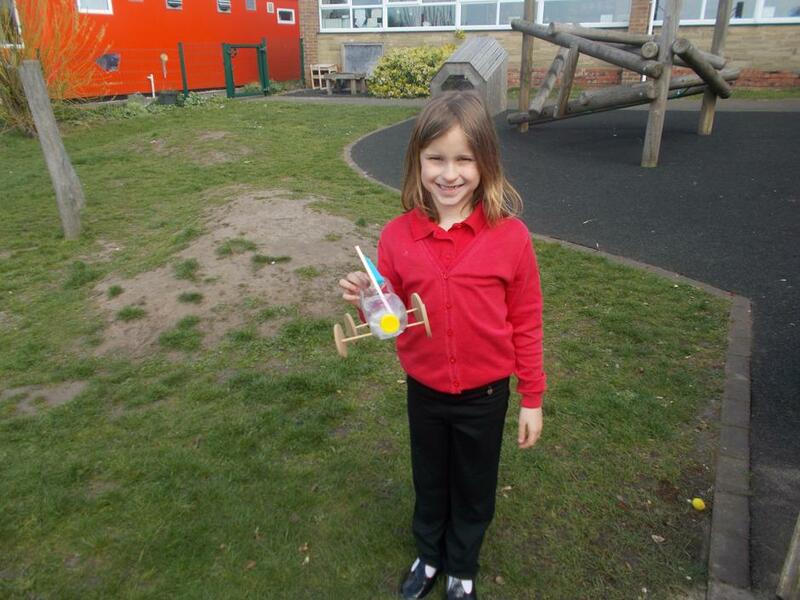 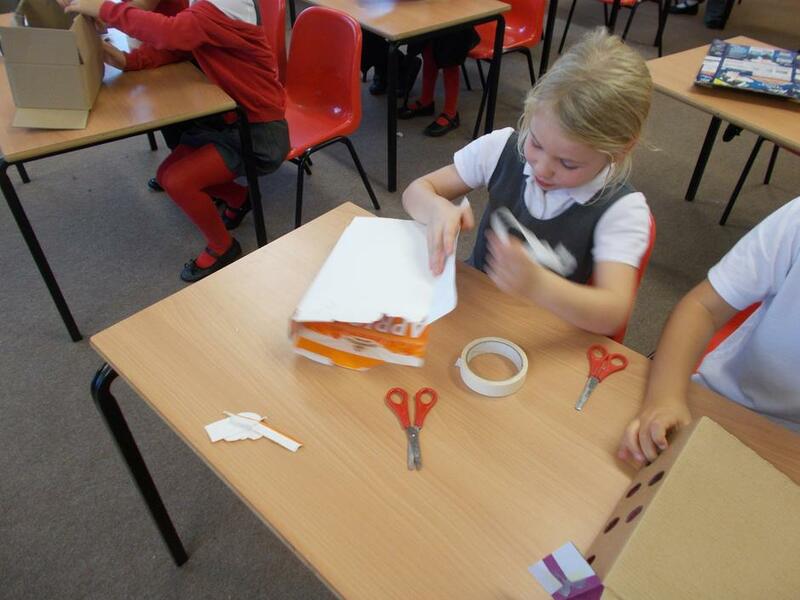 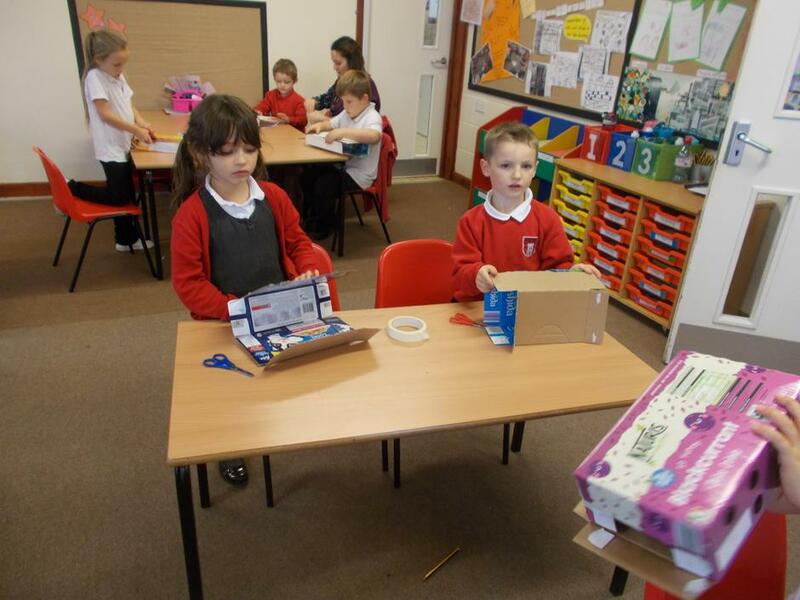 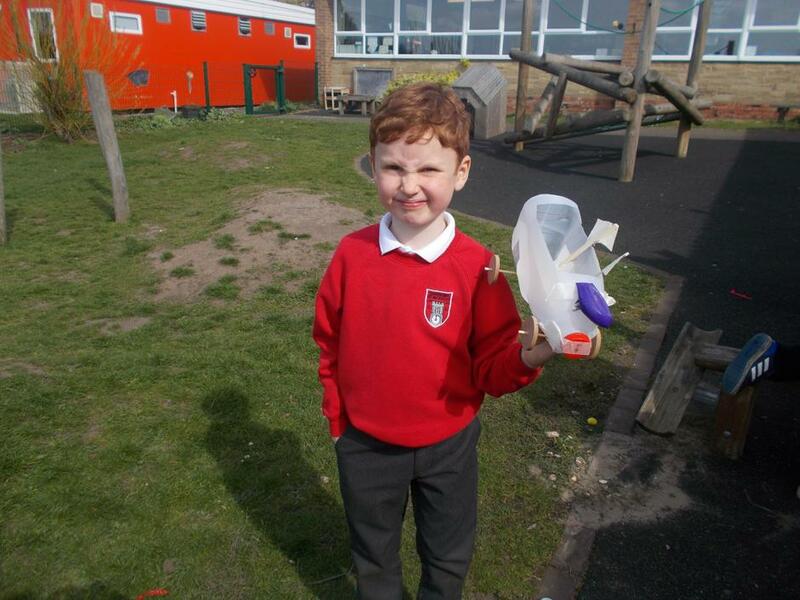 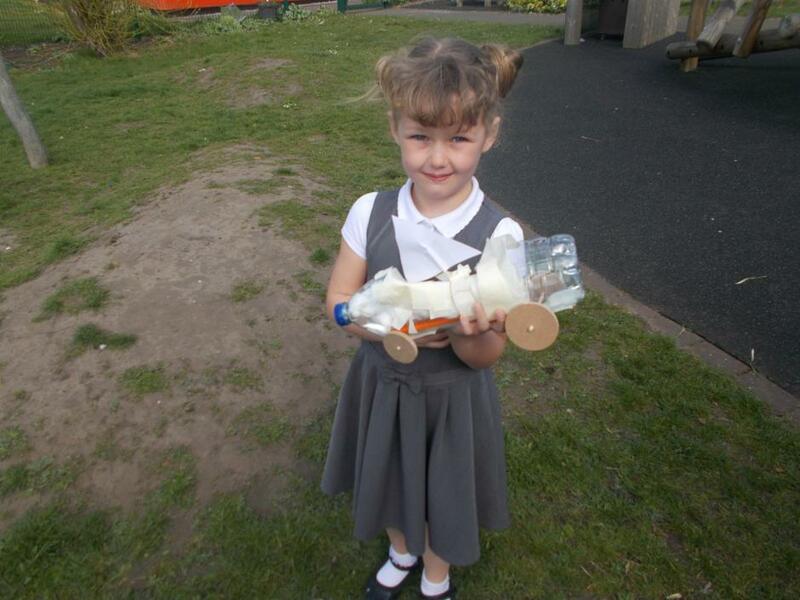 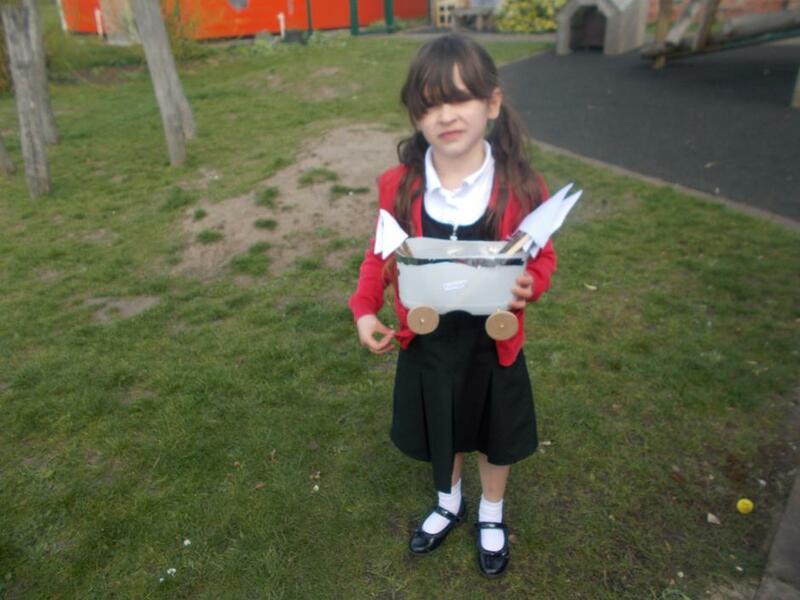 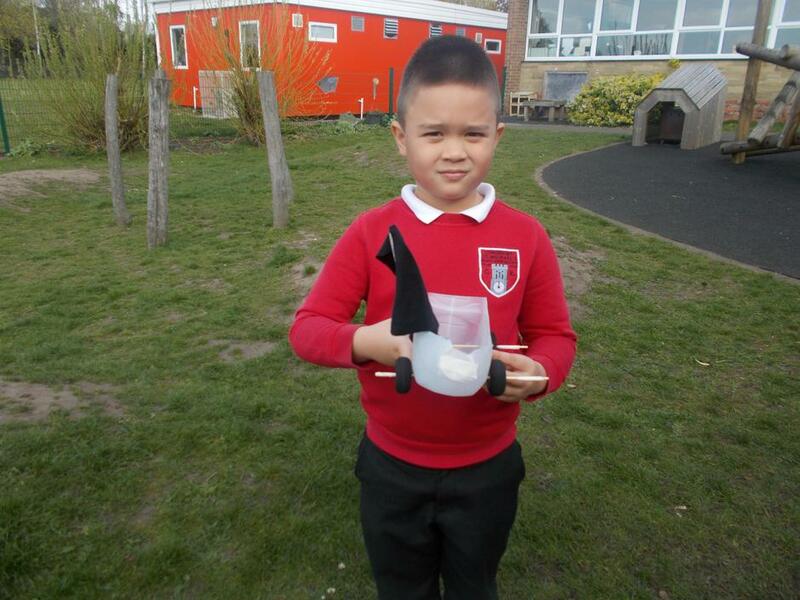 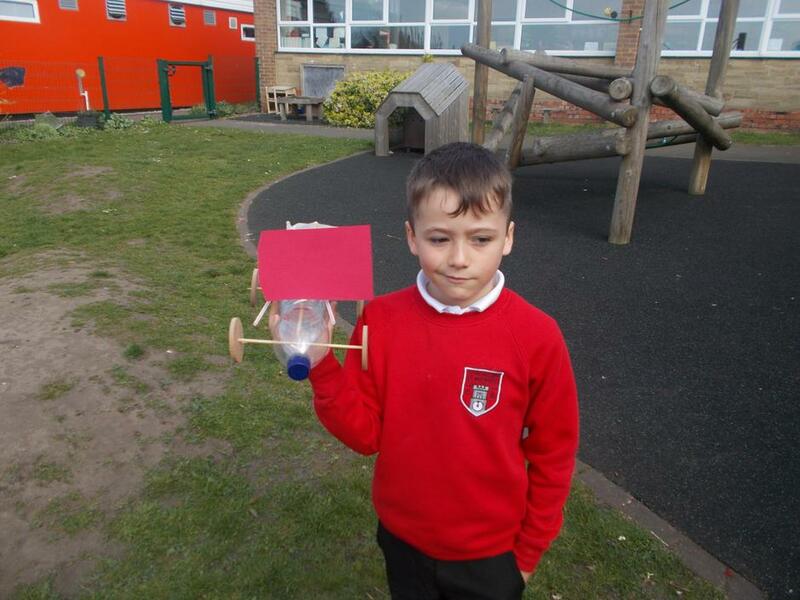 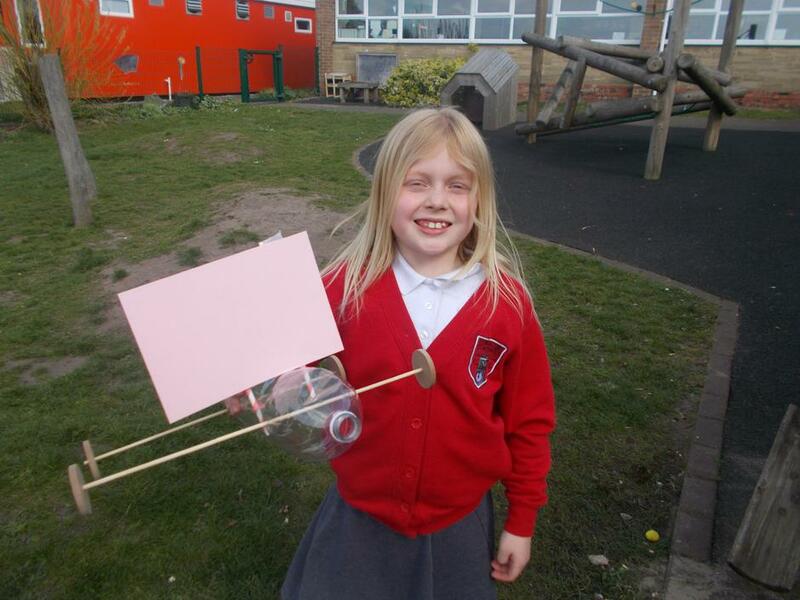 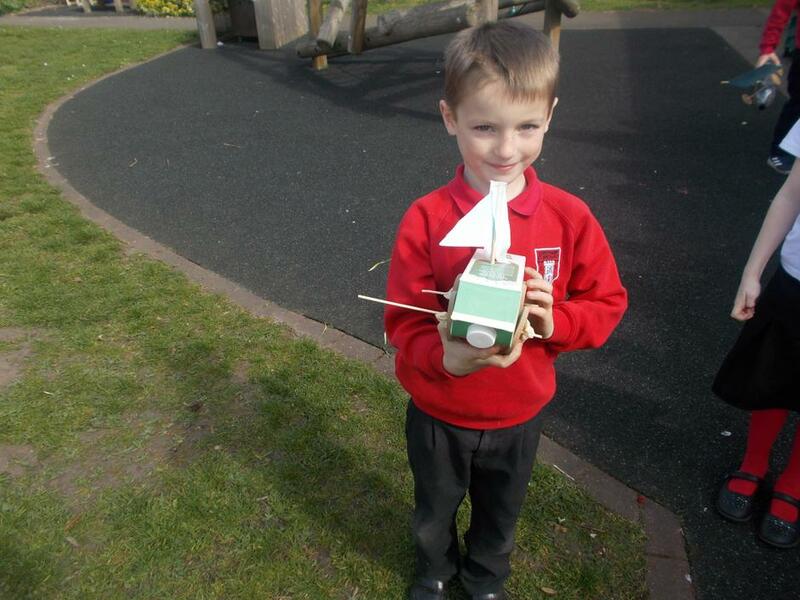 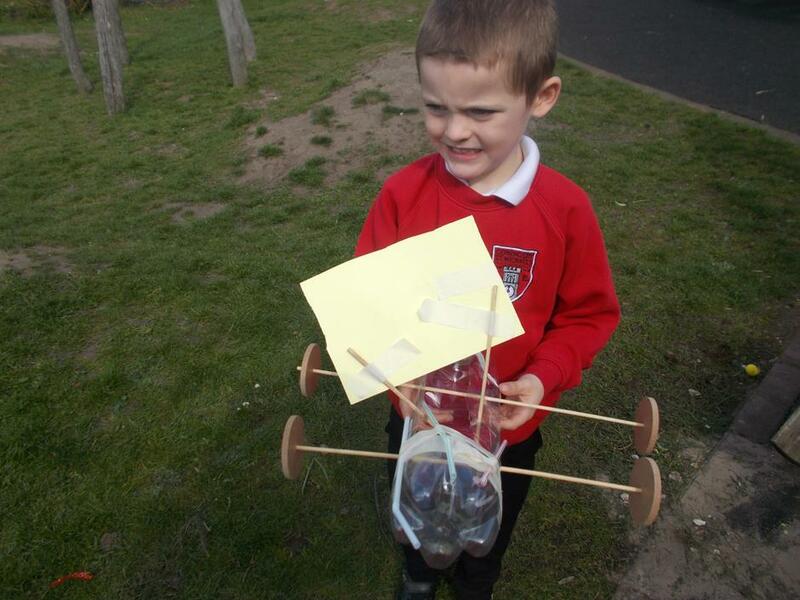 This term we all made our own vehicles. 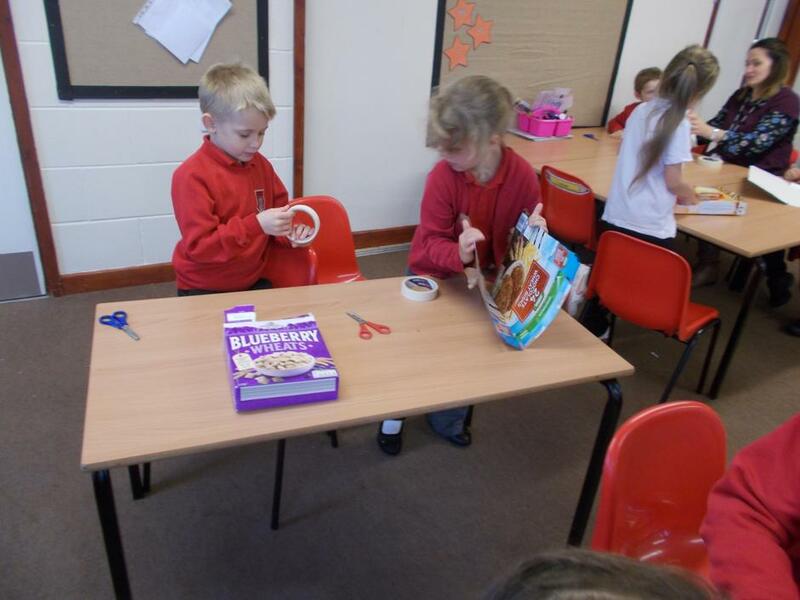 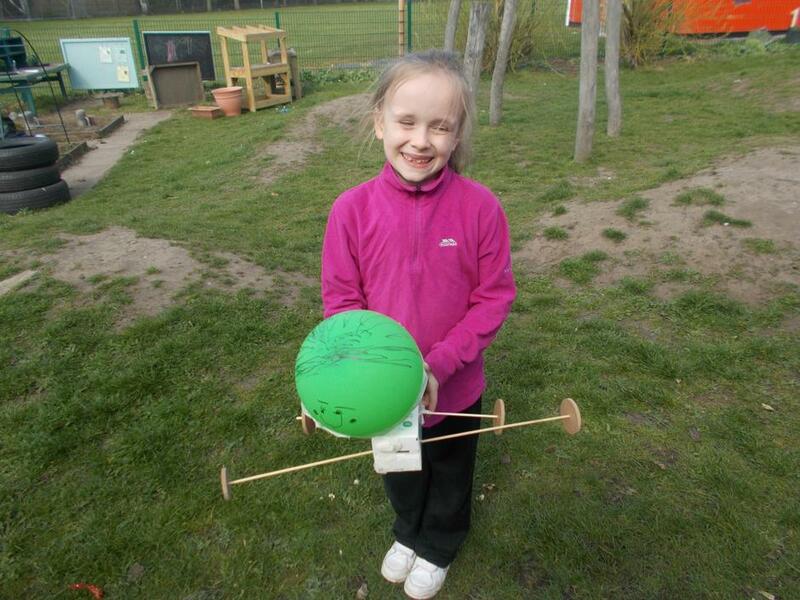 We decided to make boats with wheels and axles for towing. 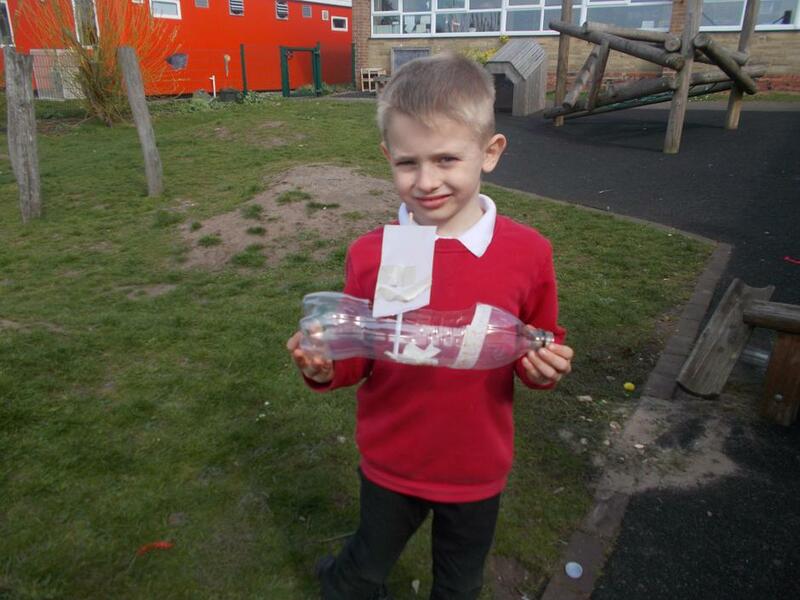 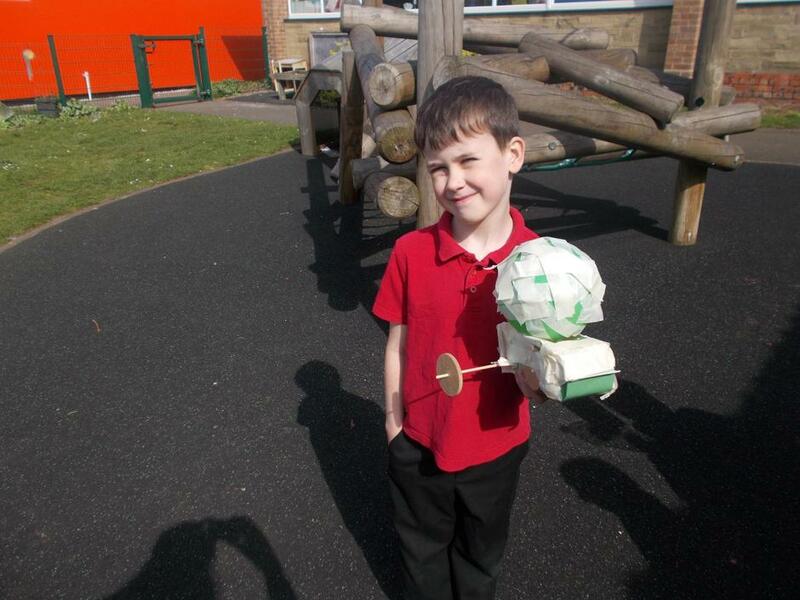 We decided how we would make them float and worked hard on our designs. 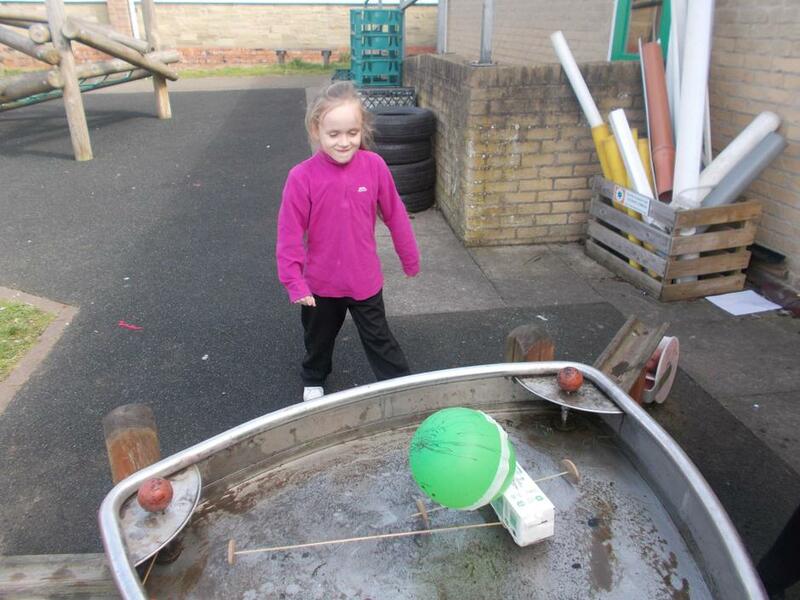 We were all really pleased that when we tested them they did float! 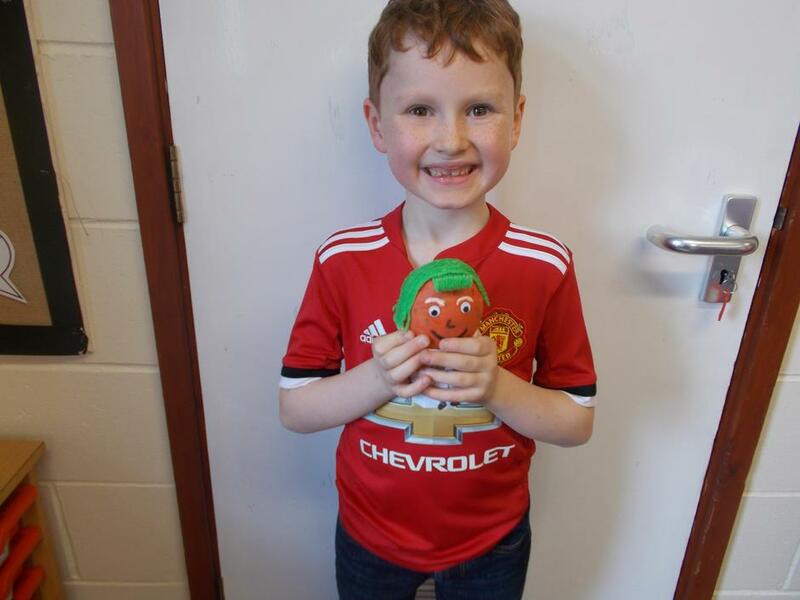 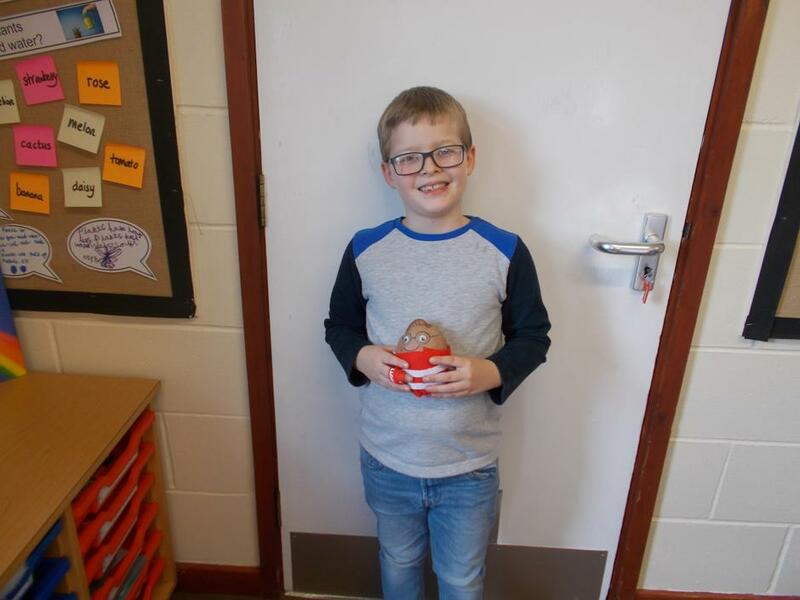 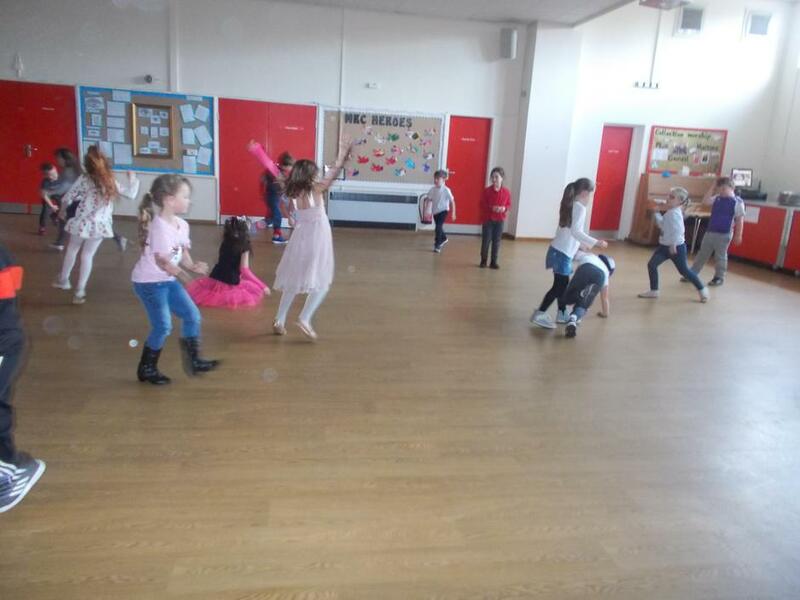 All the children enjoyed coming dressed as their favourite singer or in their party clothes today for Comic Relief. 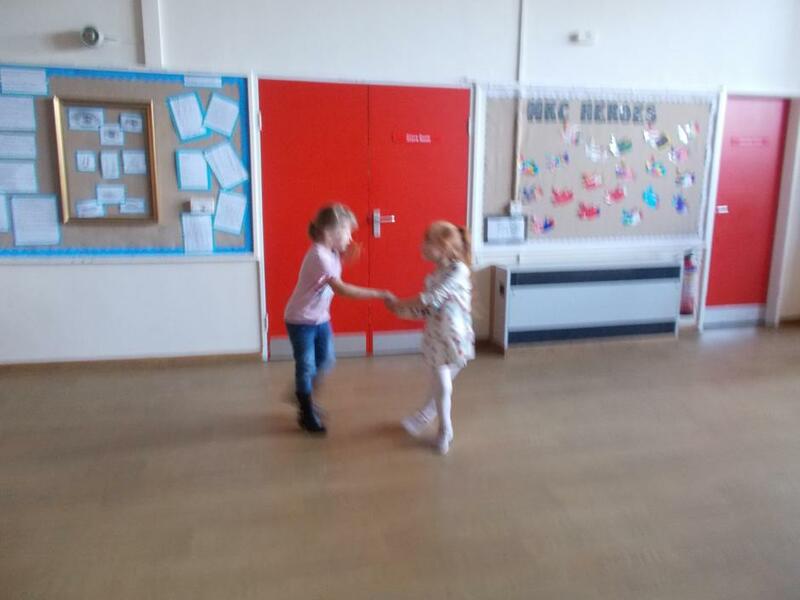 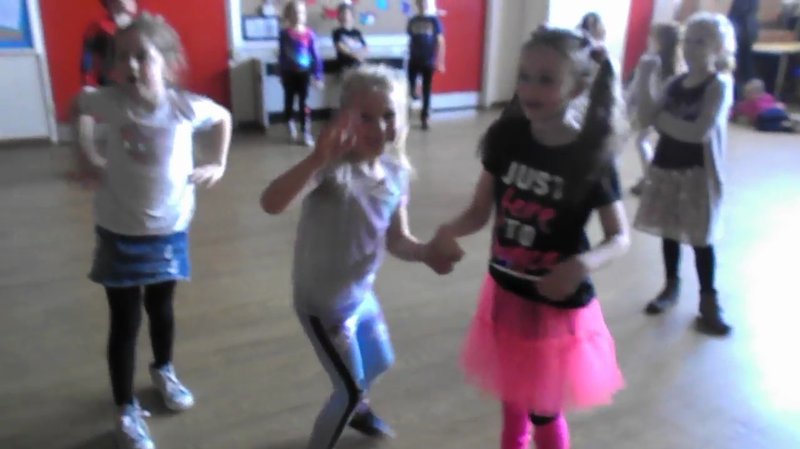 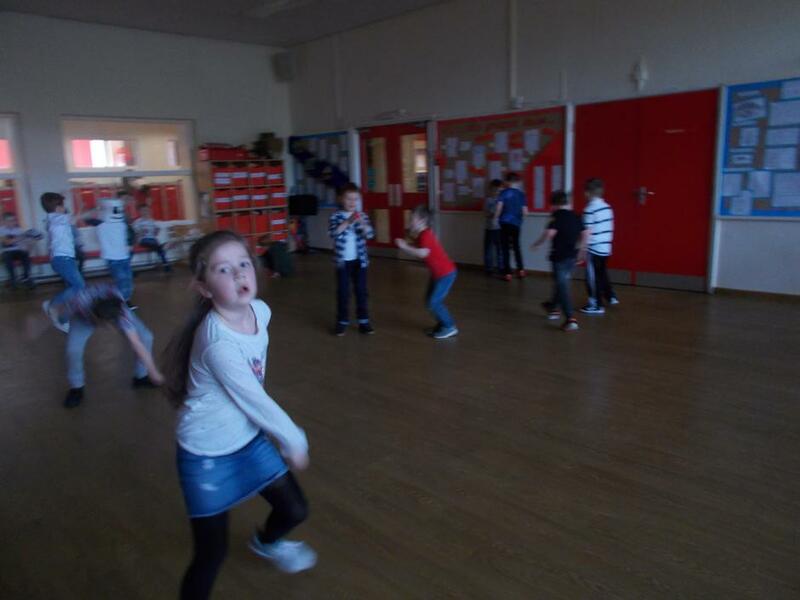 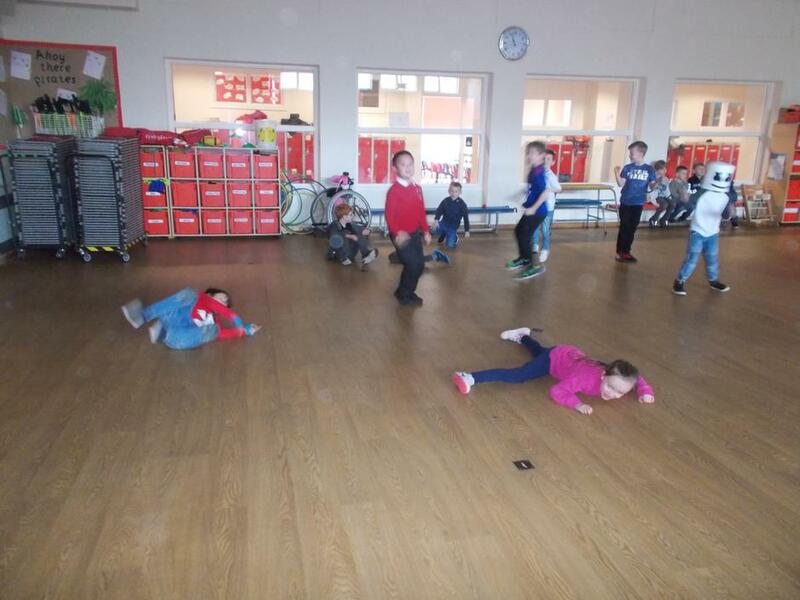 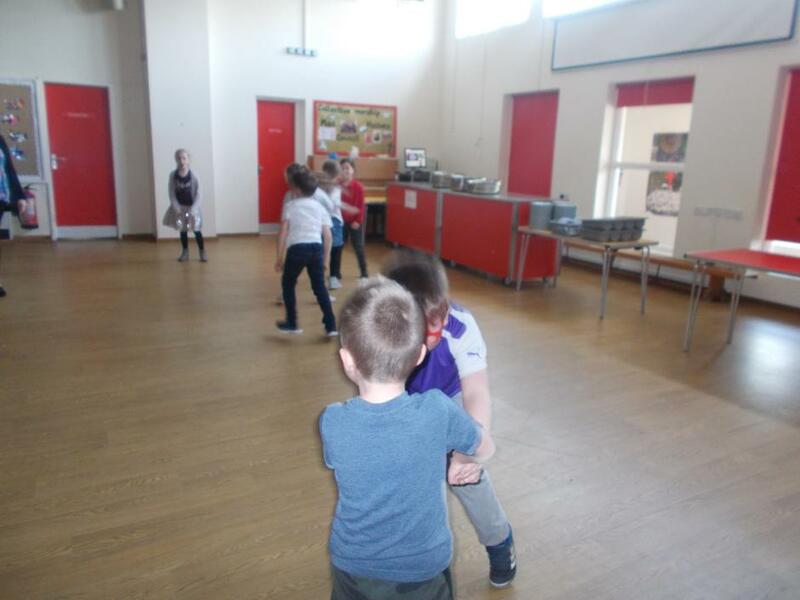 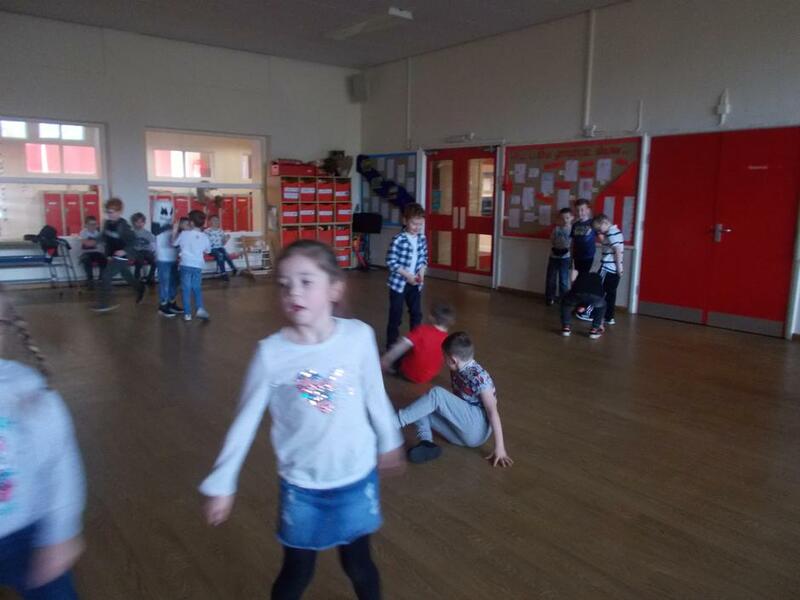 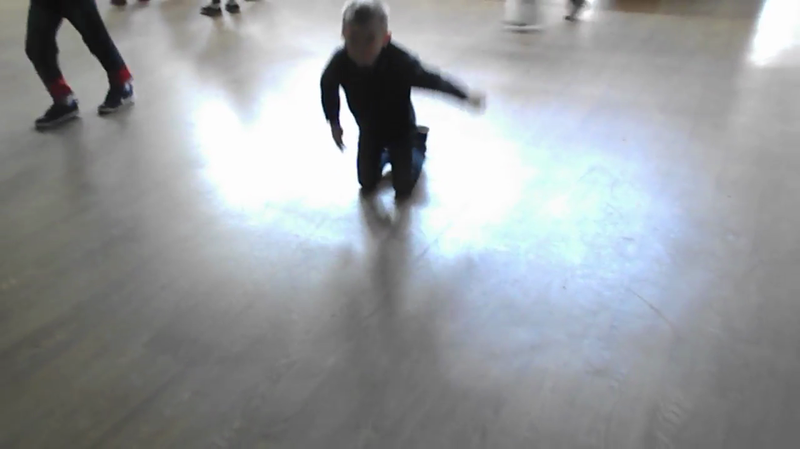 We had a danceathon in the hall which the children really threw themselves into as you can see from the photos and videos! 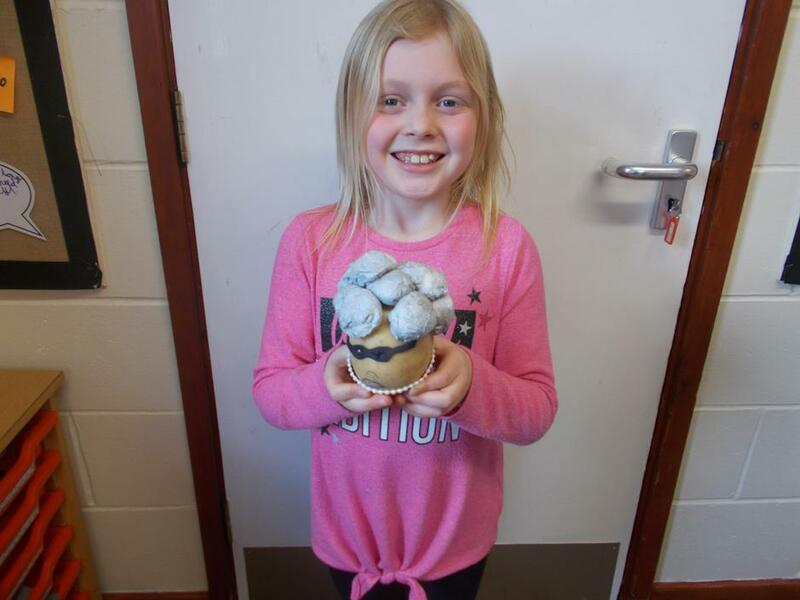 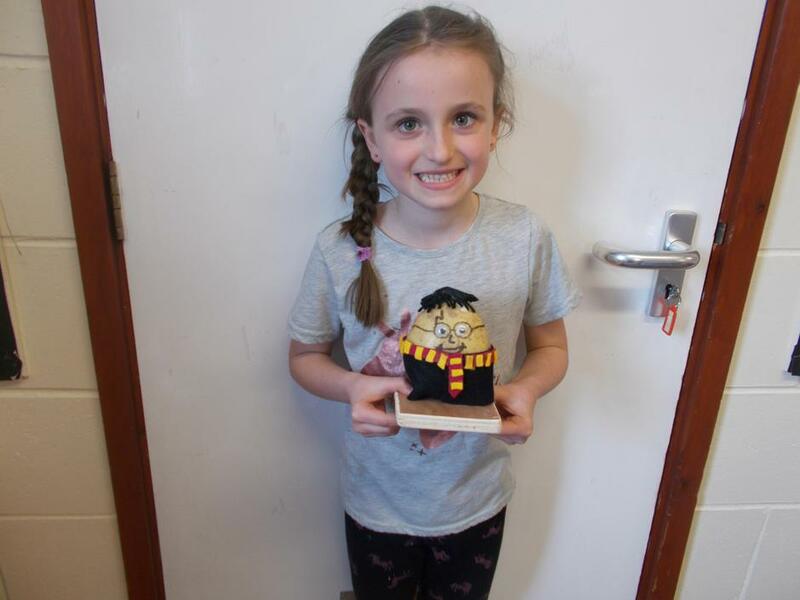 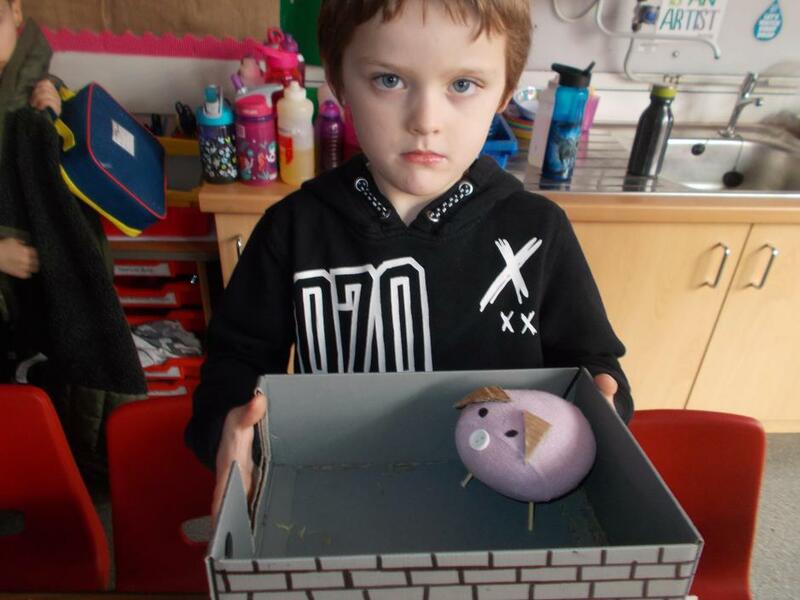 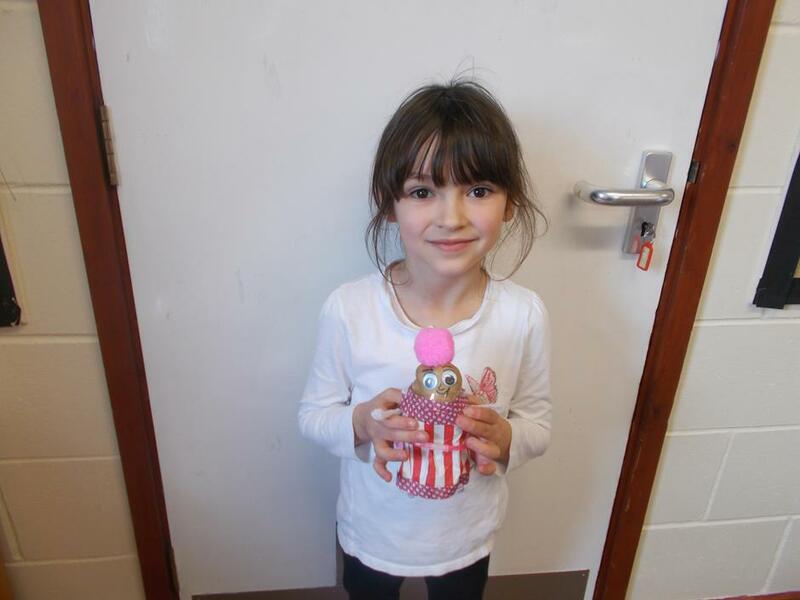 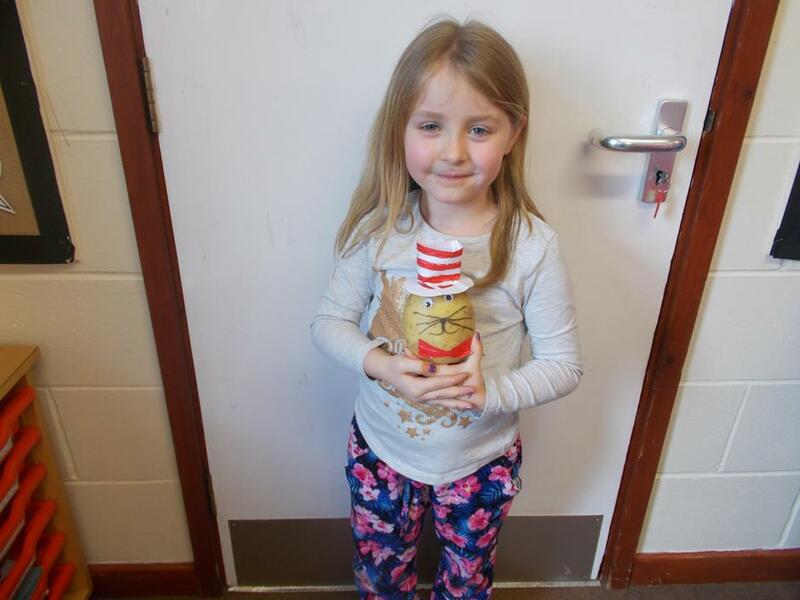 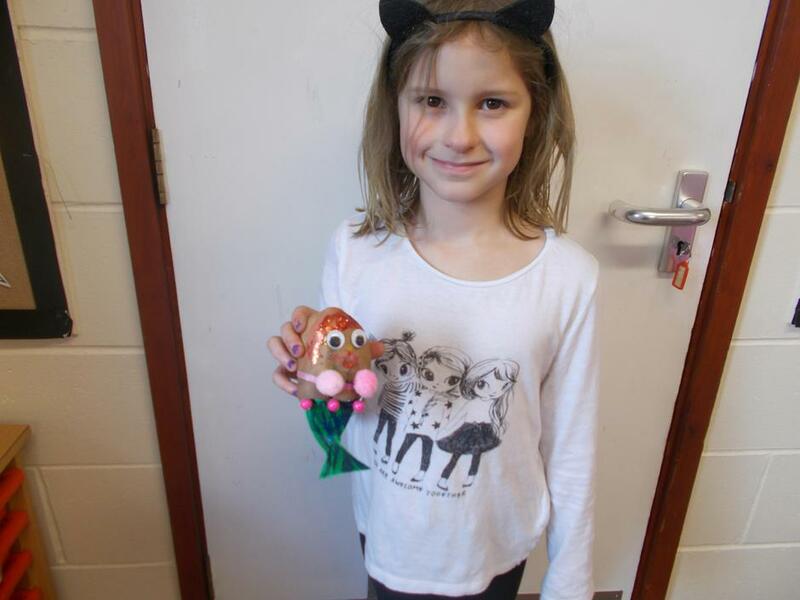 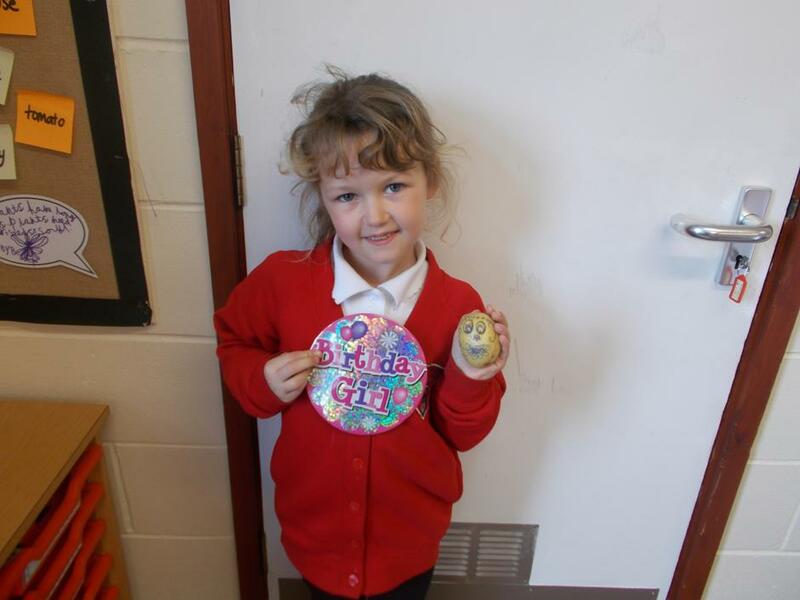 For world book day the children were invited to decorate potatoes as their favourite book characters. 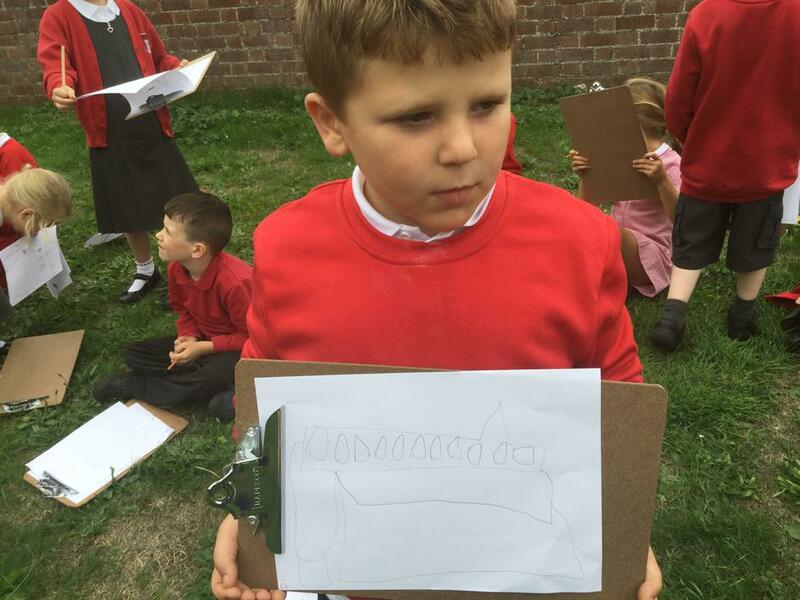 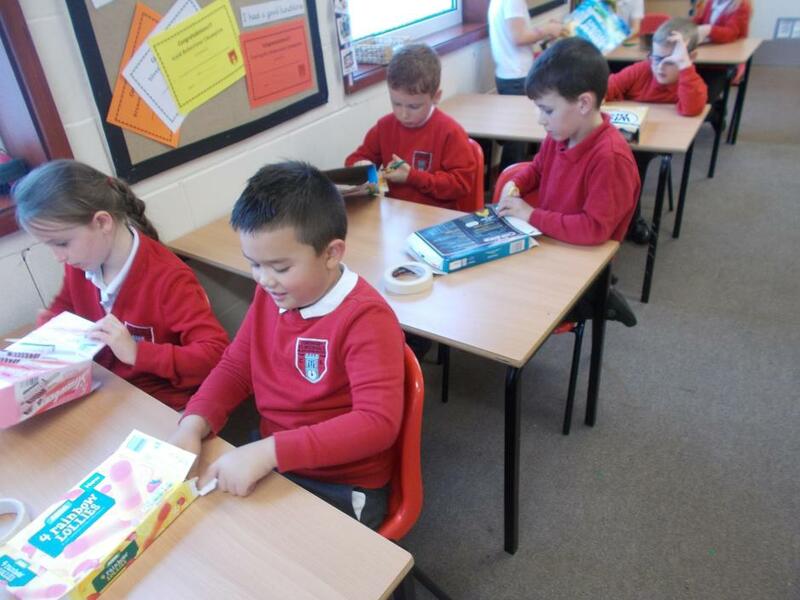 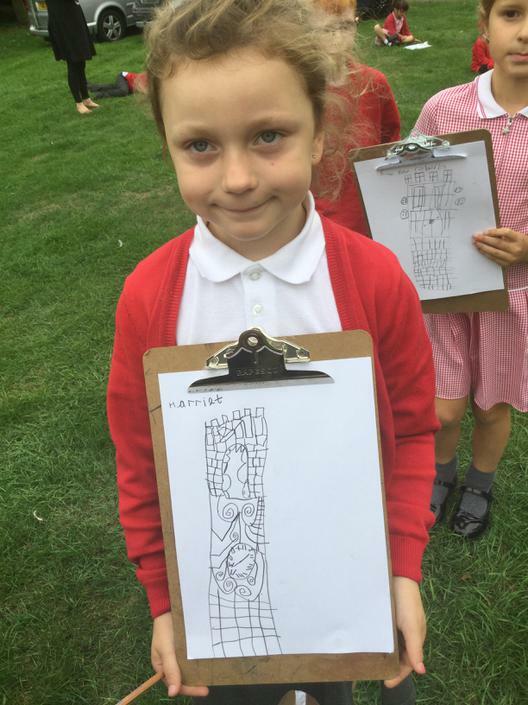 Year Two did an amazing job as you can see from the pictures below! 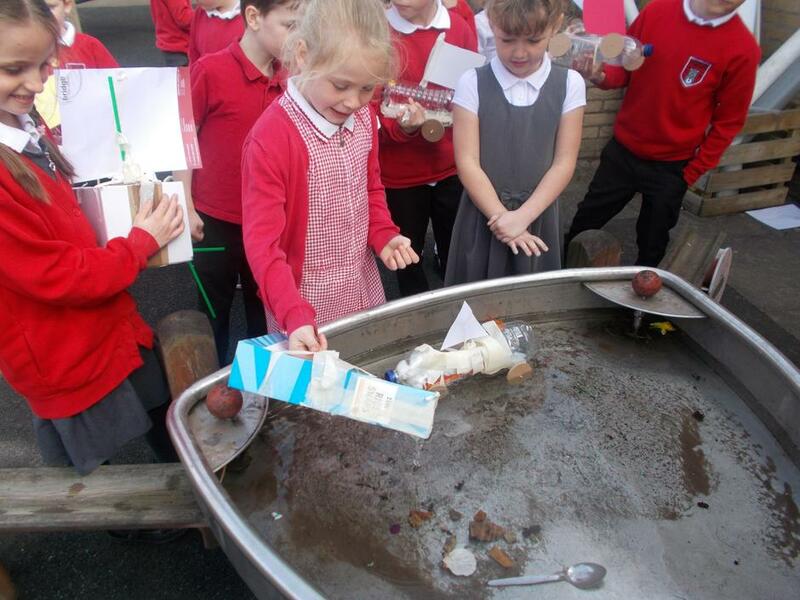 They were very proud of them! 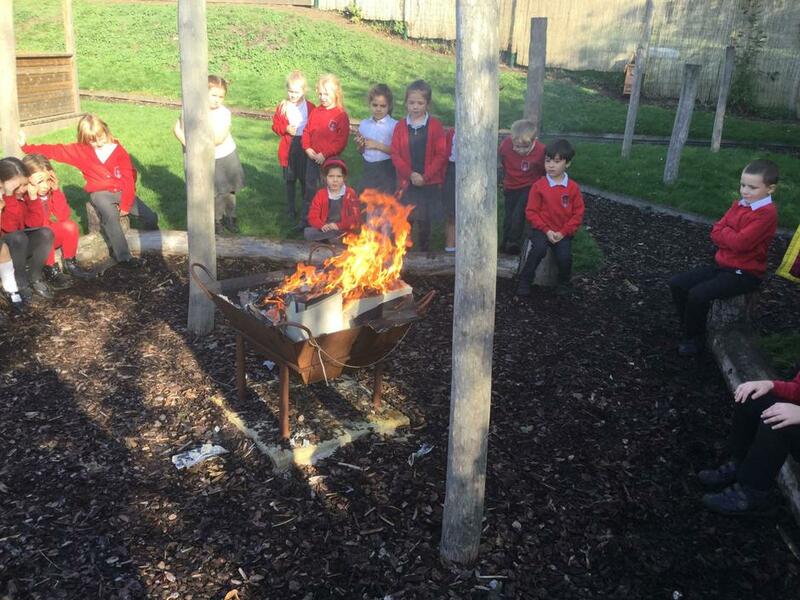 Awesome afternoon in the Mystical Garden today. 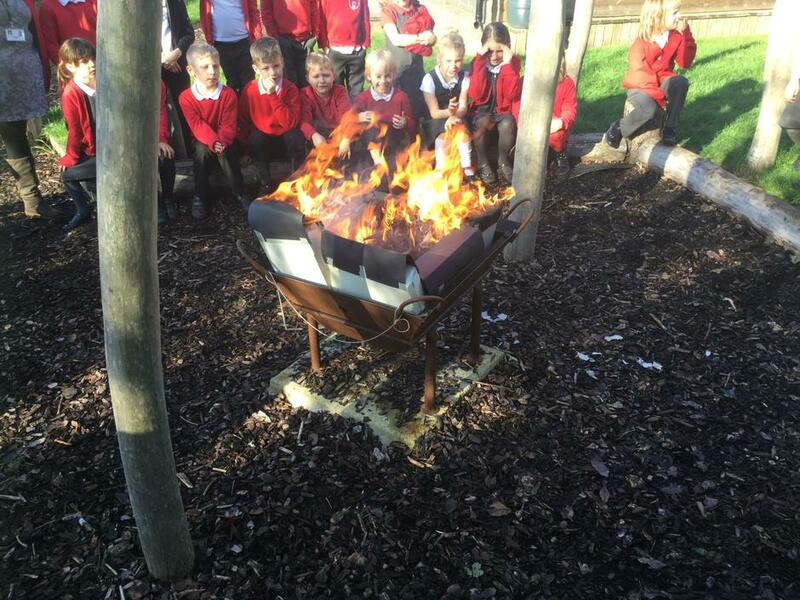 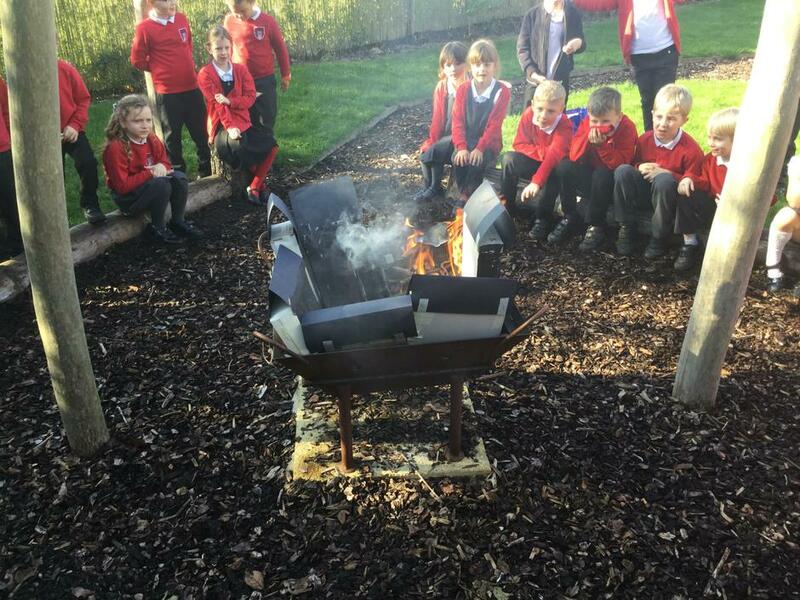 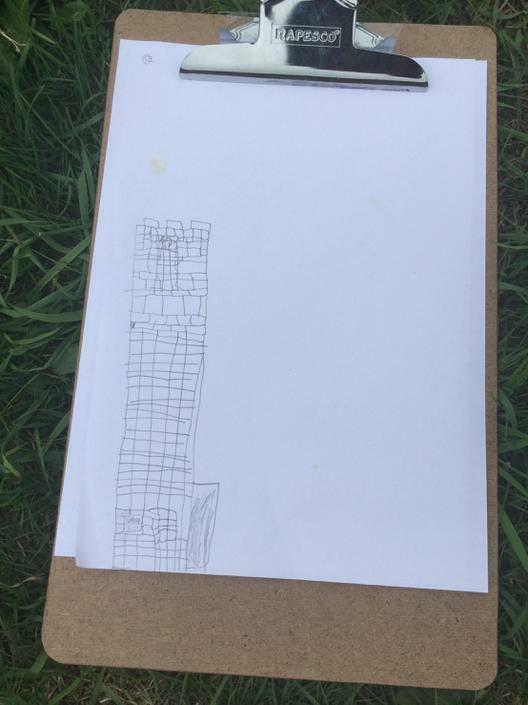 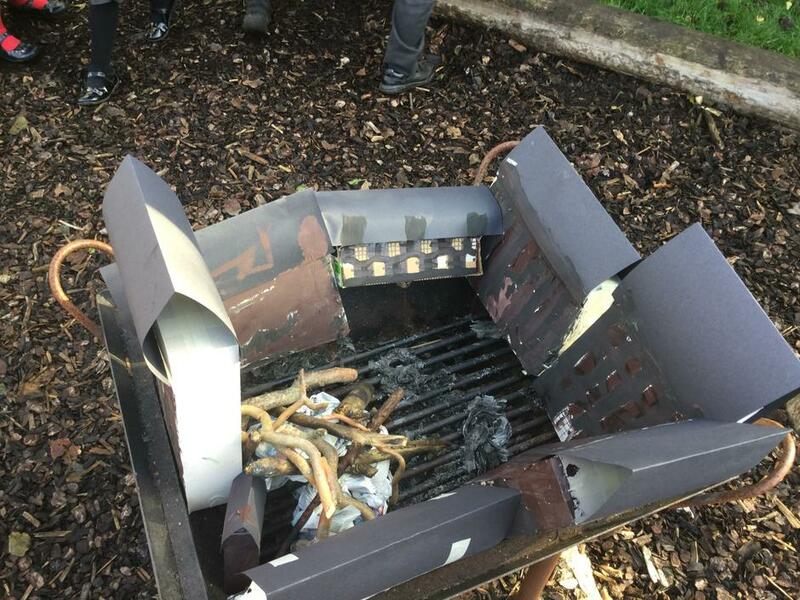 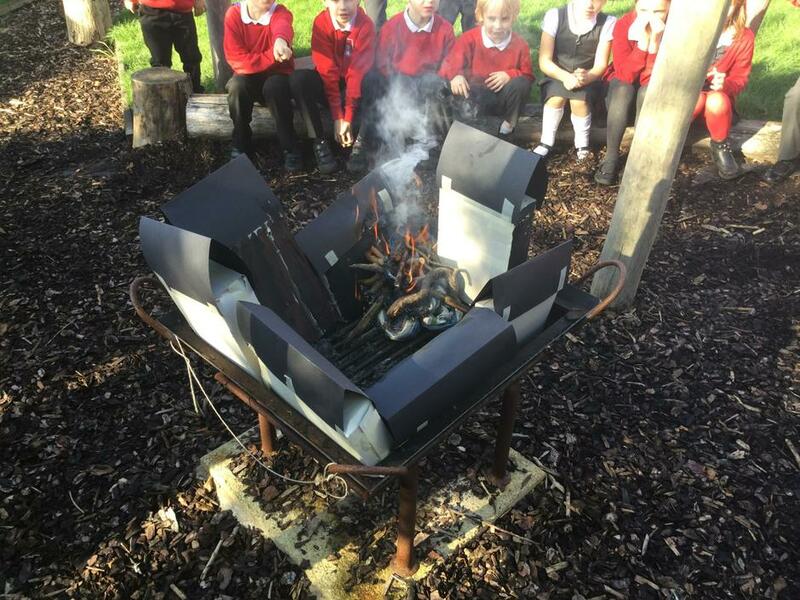 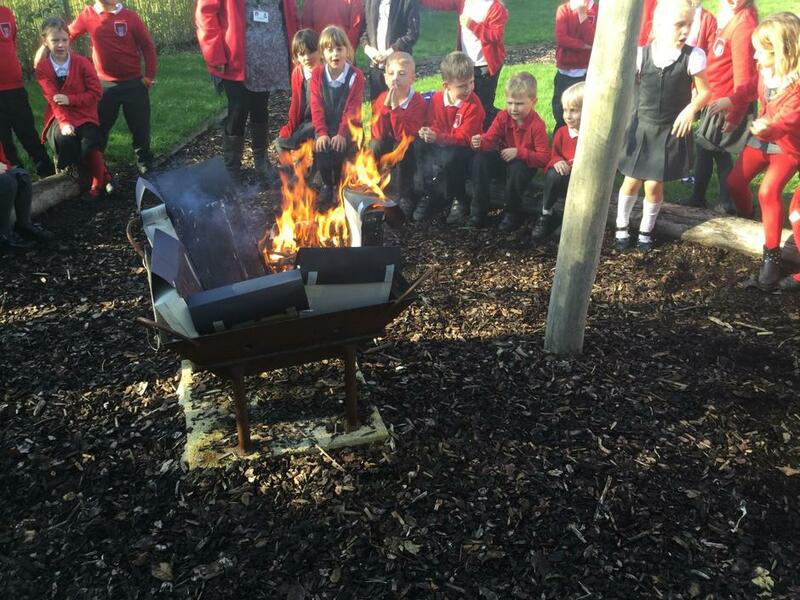 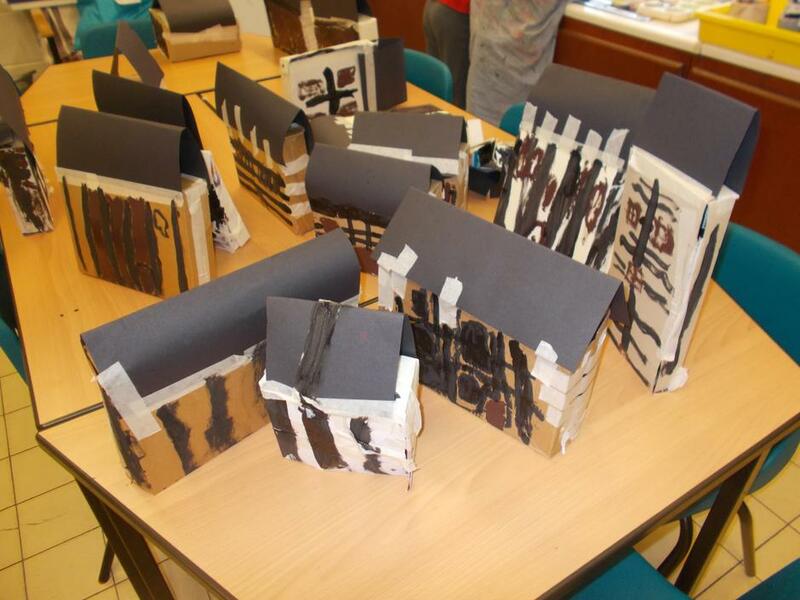 We recreated the Great Fire of London by setting fire to our Tudor houses and watching how the fire spread from building to building..
We made Tudor houses today as part of our Great Fire of London topic. 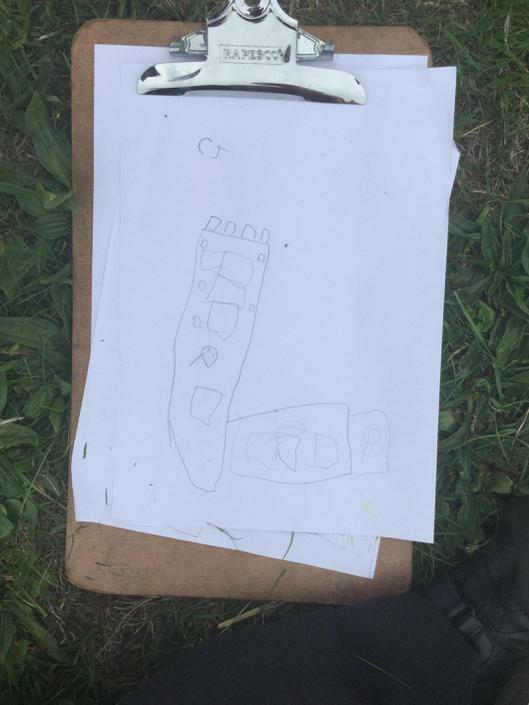 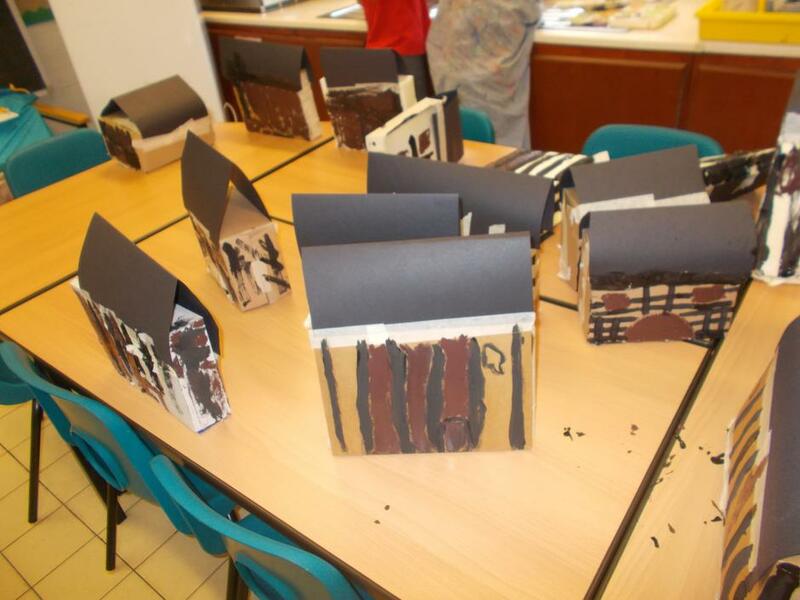 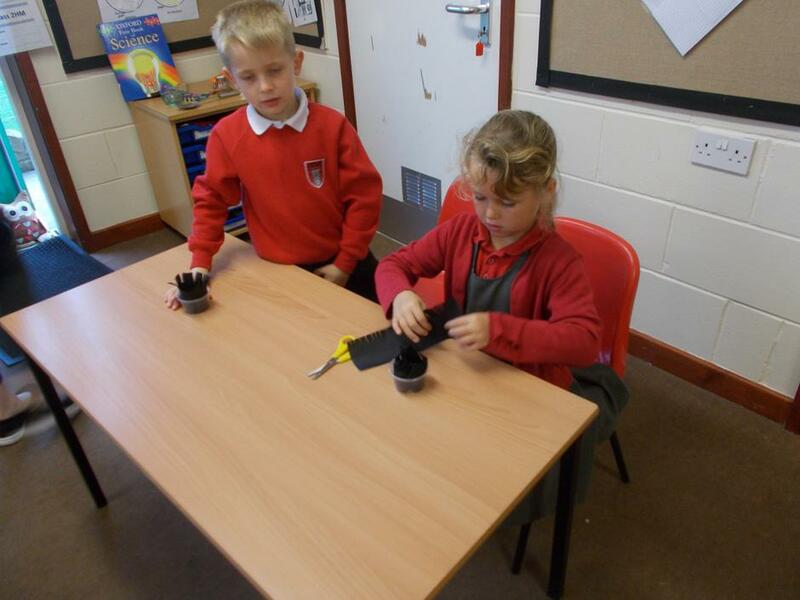 We had to learn how to turn the boxes inside out to ensure the paint would stick, then we had to measure and make a roof and then paint the houses with the traditional black and white Tudor design. 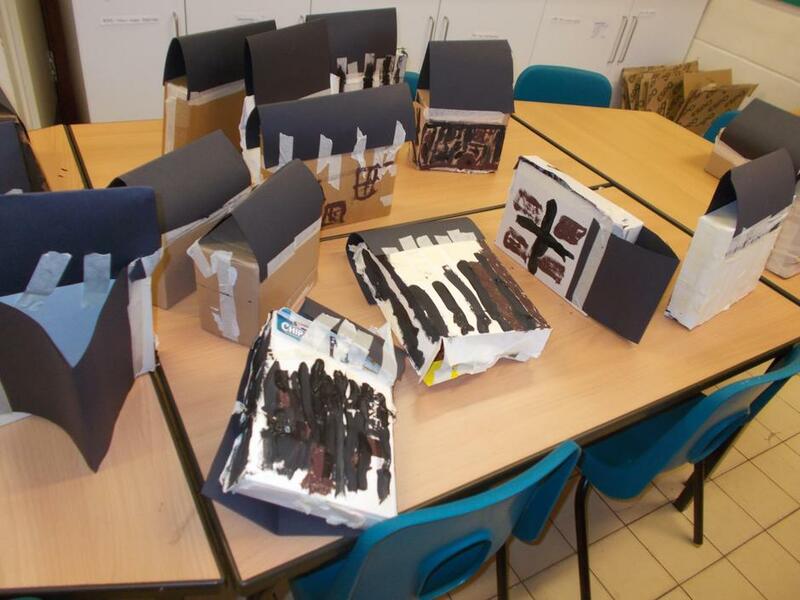 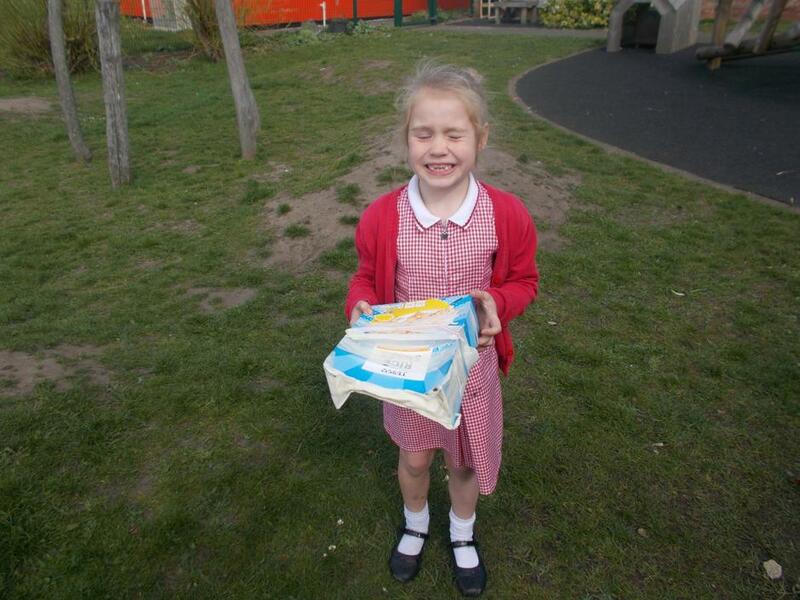 We were really pleased with our finished houses. 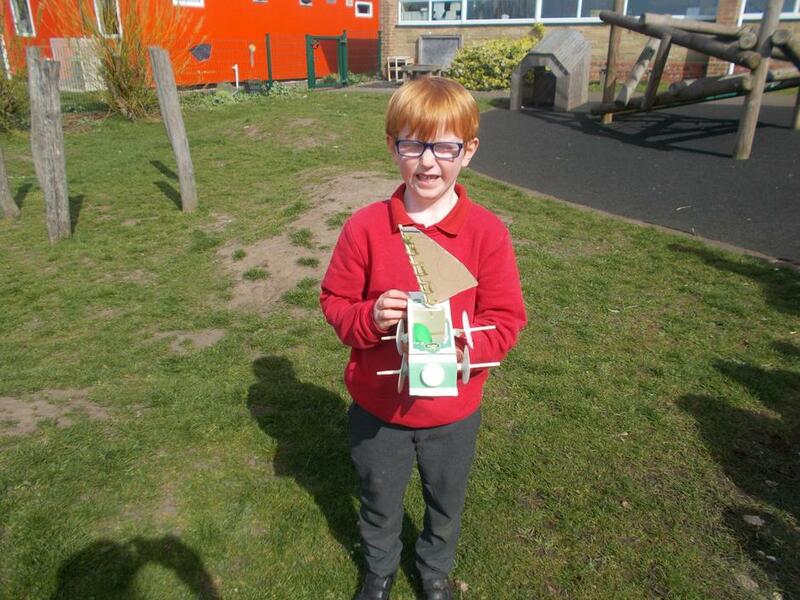 We were really lucky today as we had a visiting artist in as part of Aviation Heritage in Lincolnshire. 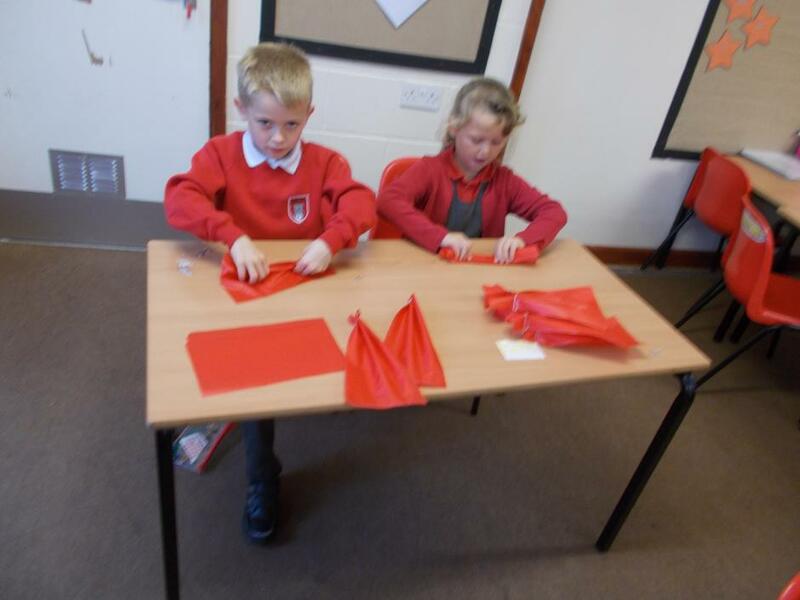 She is making a large poppy display to go around the church door and we each got to make a poppy out of waterproof material. 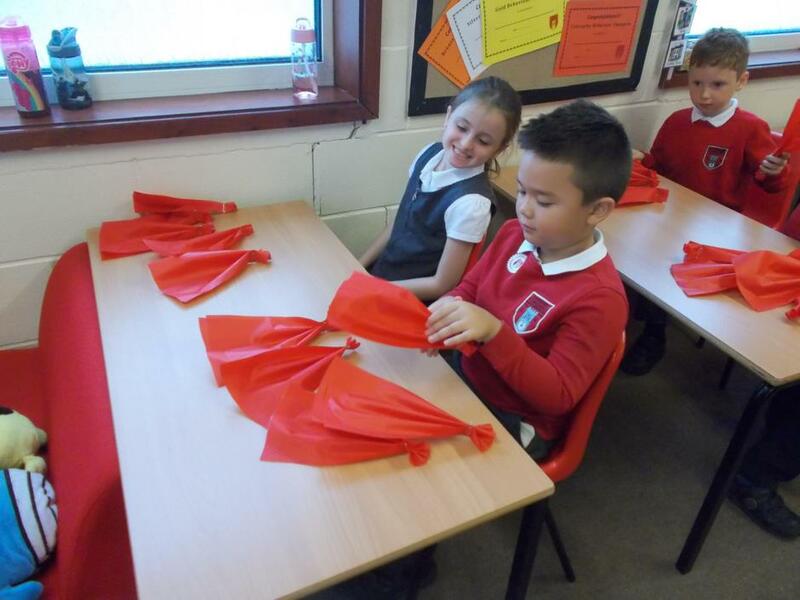 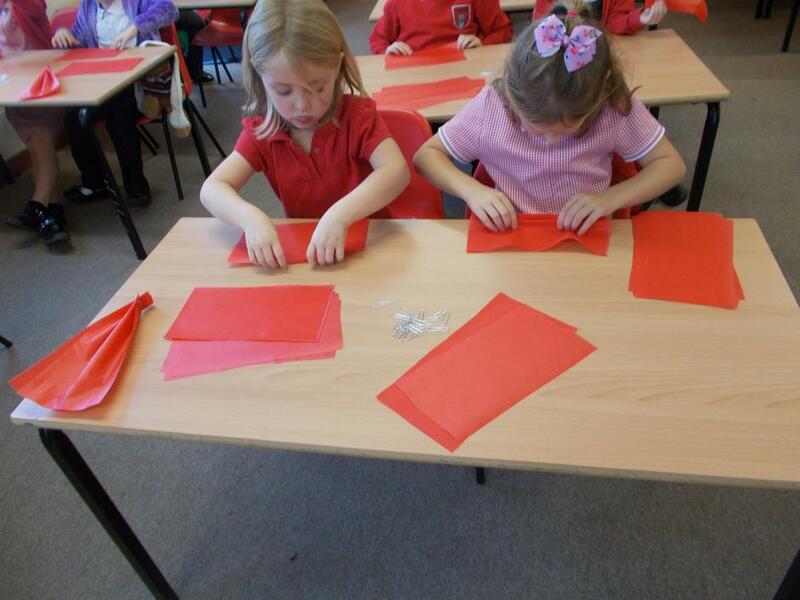 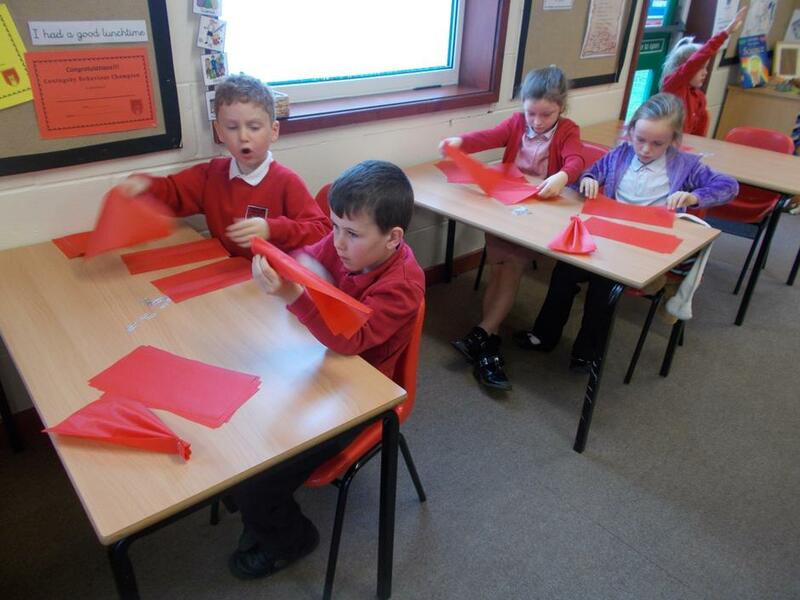 We had to concertina the red material and fix it with a paperclip and then cut a fringe into the black material. 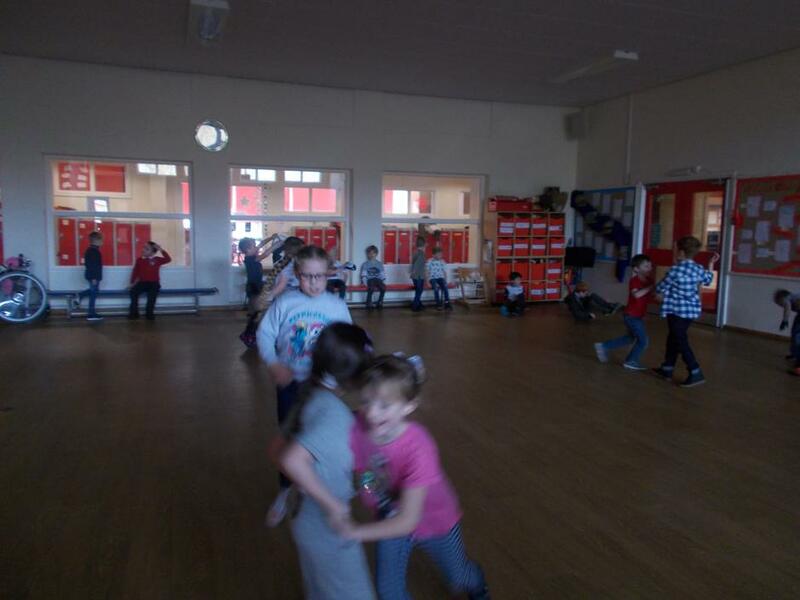 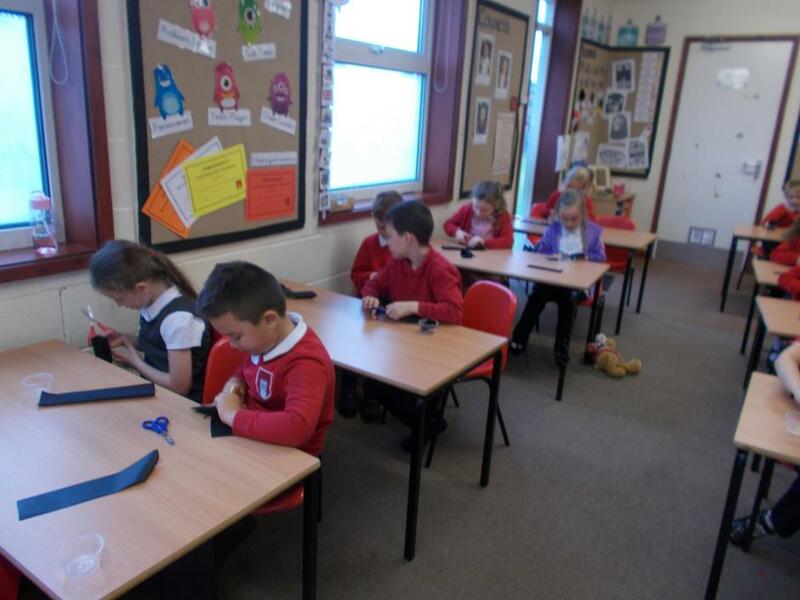 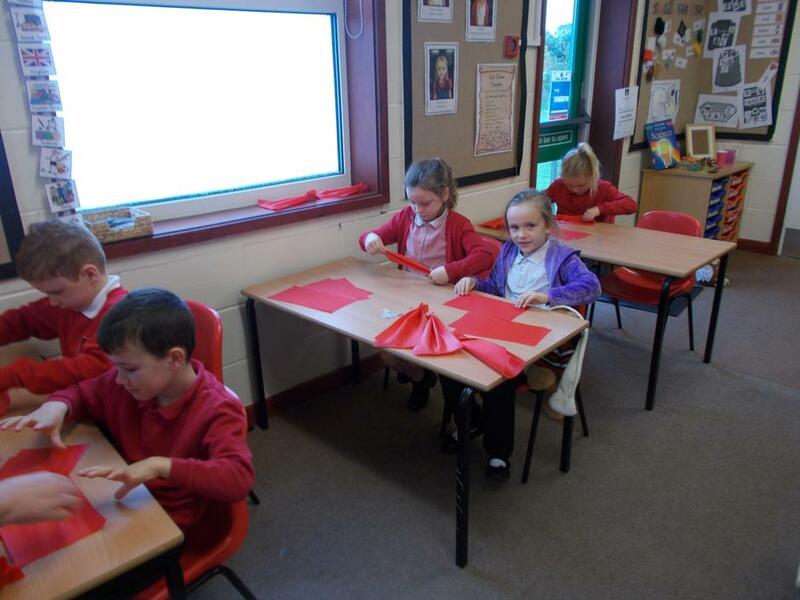 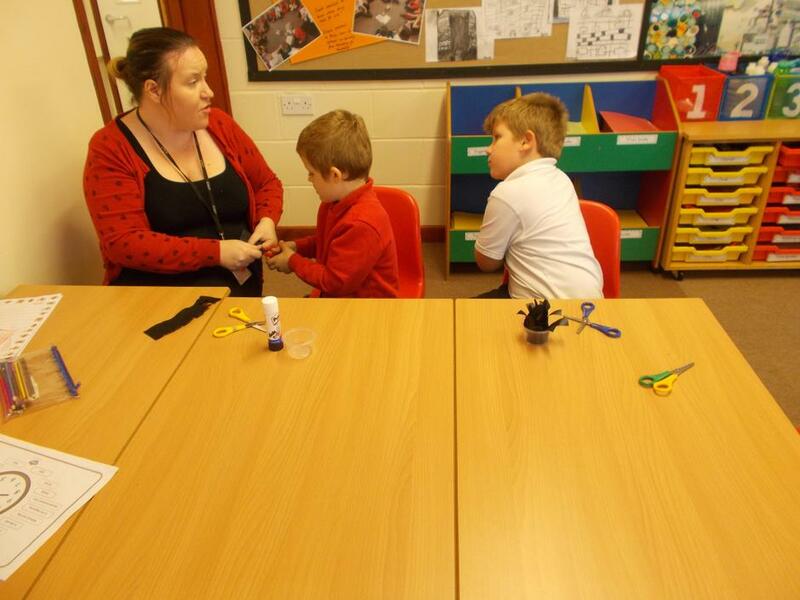 Everybody worked really hard and the children really enjoyed. 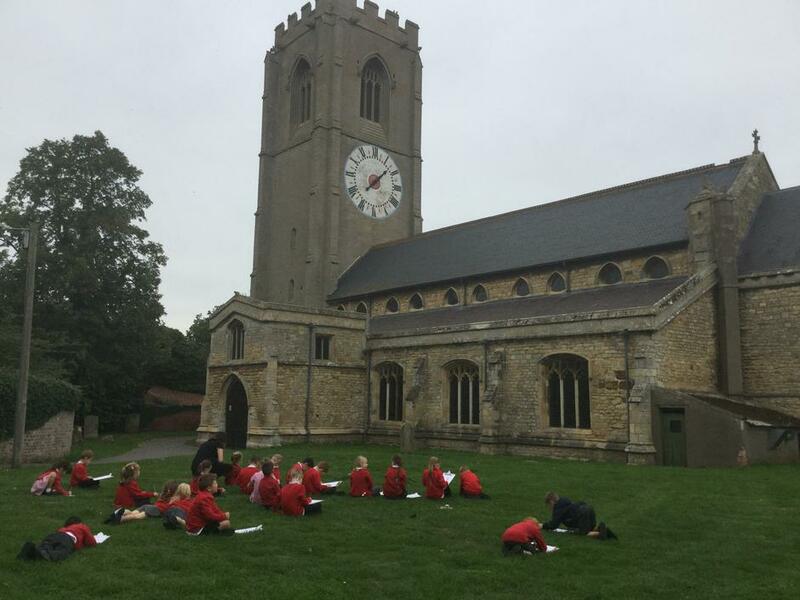 The poppies will be displayed around the door of St Michael's Church for Remembrance Sunday and the days around this if you would like to go and see them. 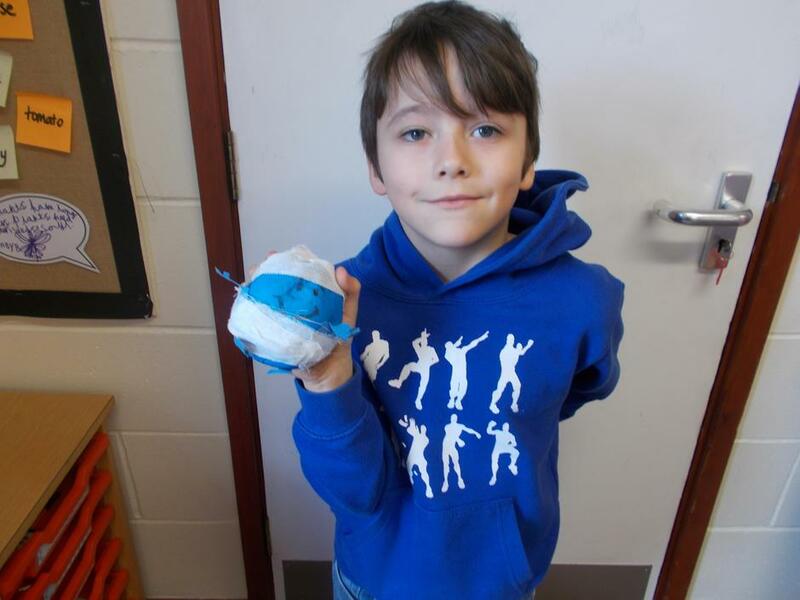 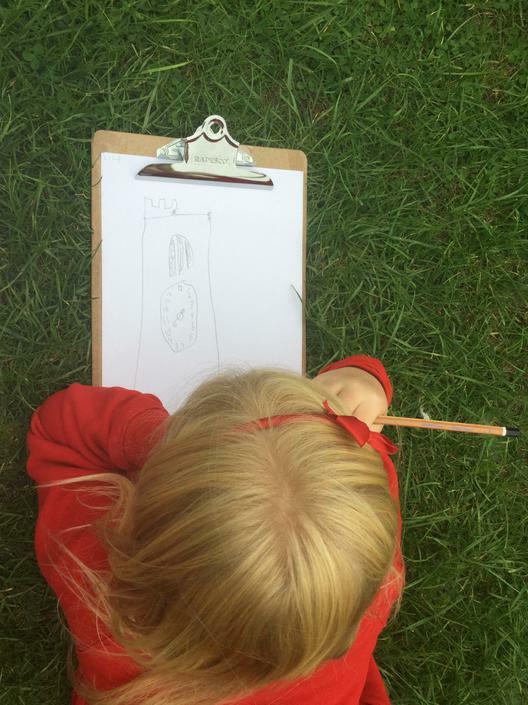 Fantastic art lesson today! 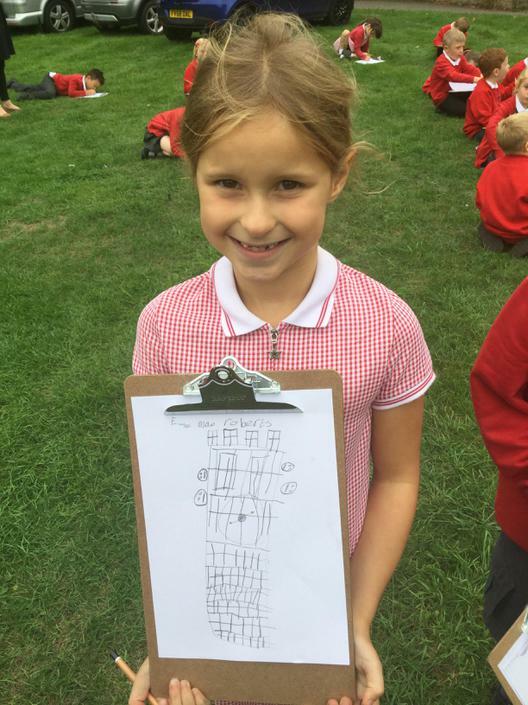 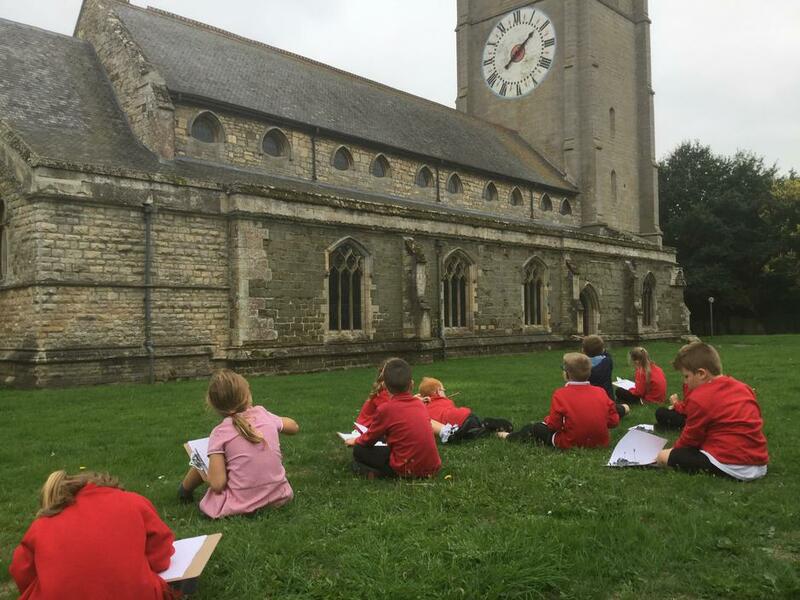 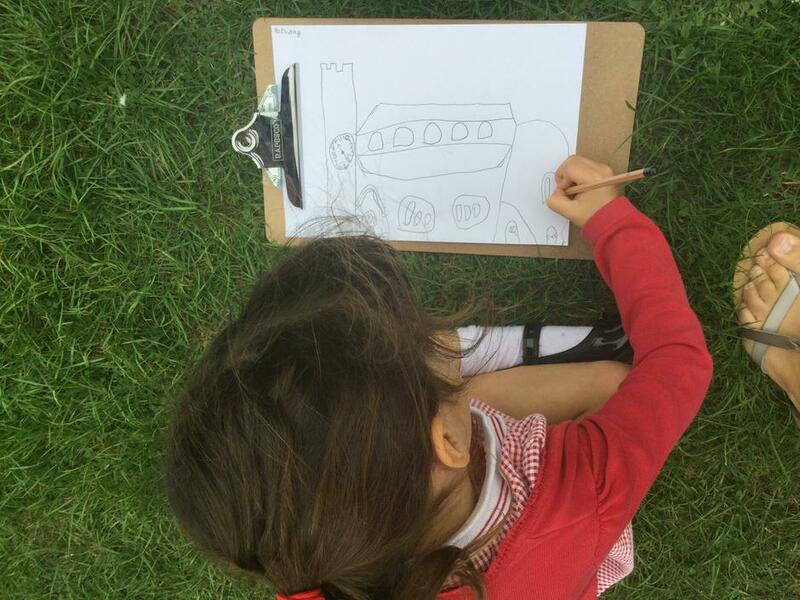 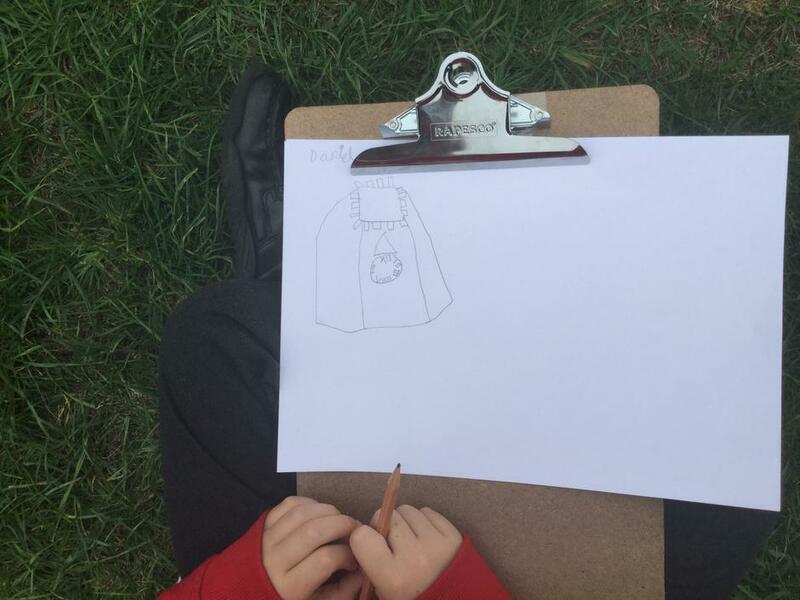 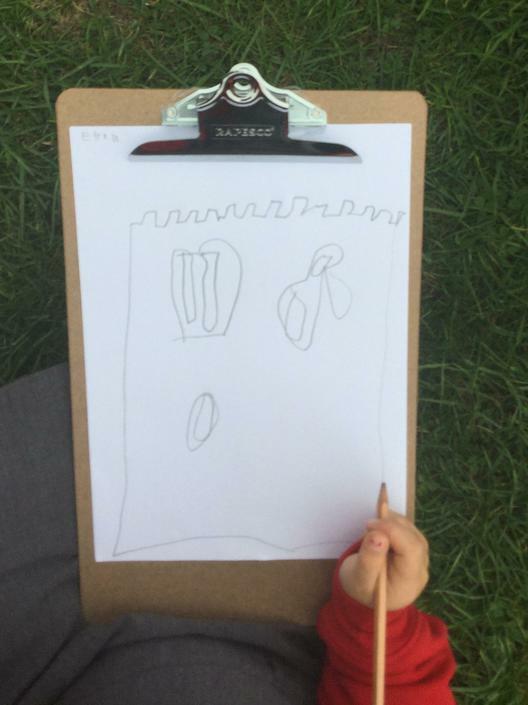 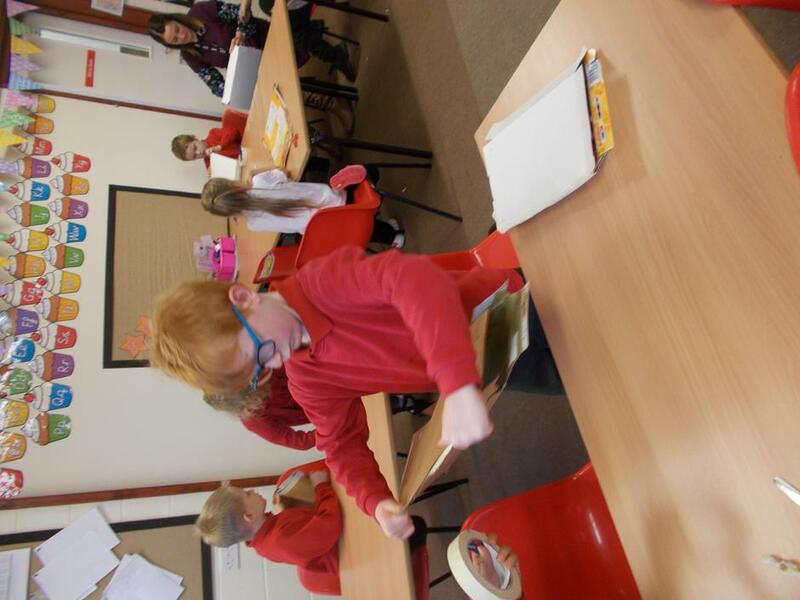 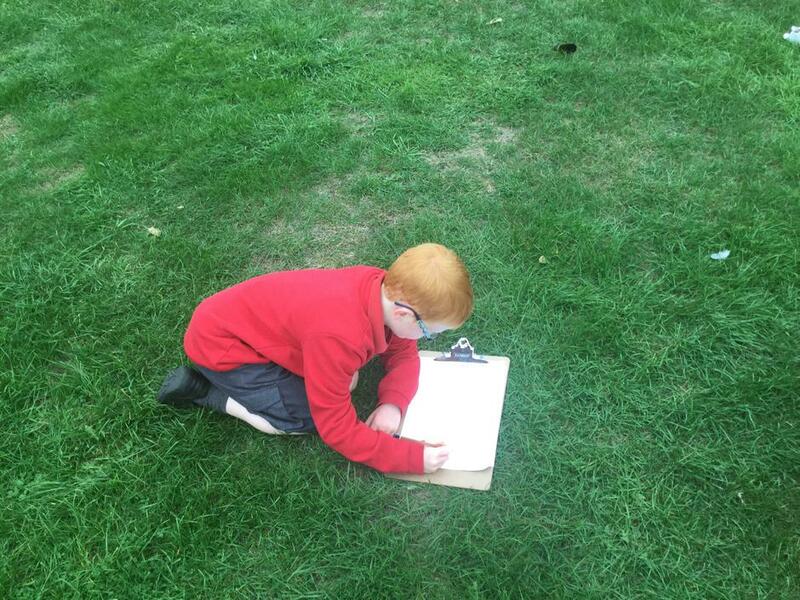 The children visited St Michael's church to practise their sketching skills using a variety of pencils. 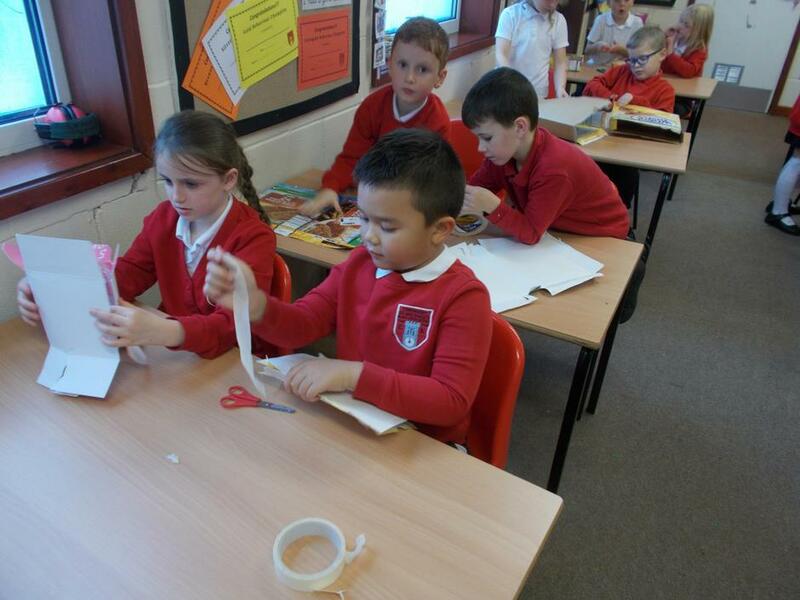 I was so impressed with their concentration and attention to detail.